Gorgeous stone build villa of the early 1900. It was renovated in 2011 by the current owners, who were using the house as residency on the ground floor, while the first and the second floor were made into a Bed and Breakfast (B&B). This is a 3-bedroom apartment located in a restored, historic villa, in the hills on the outskirts of Florence, Tuscany. It sits in a dominant position with a fabulous view surrounded by greenery. This stunning countryside estate is set in more than 11 acres, around 2.7km (about 1.6 miles) outside Greve in Chianti, one of the most picturesque villages in Tuscany's Chianti region. It has been run as an agritourism establishment since 1998. 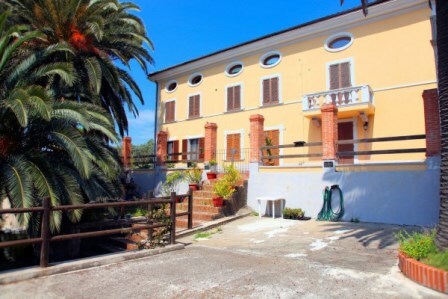 The villa is situated in the small village of Colognole surrounded by the green park of Livorno hills. It is located 220 mt. 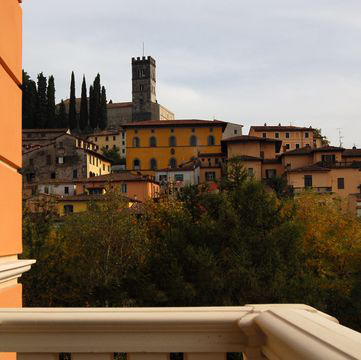 above the sea level and enjoys a temperate climate and a broad view of the typical Tuscan countryside. 3-bedroom town house with barn. 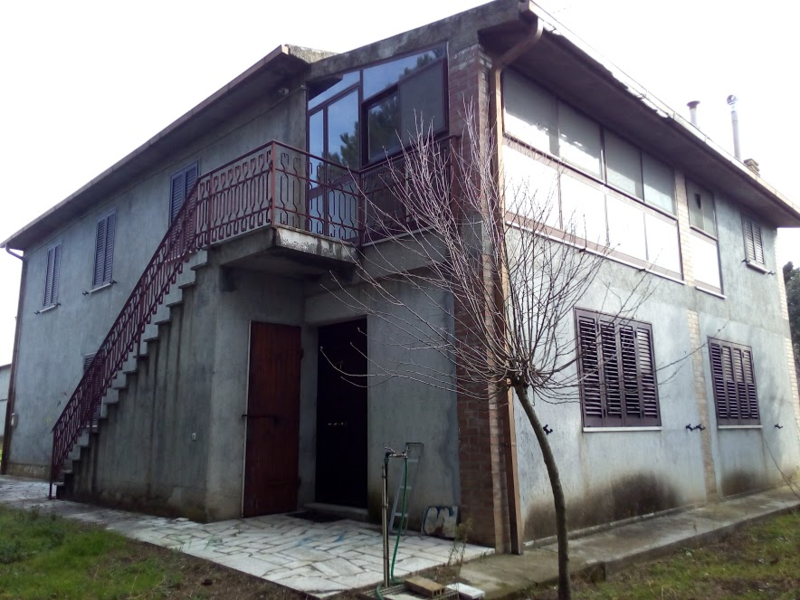 This is a townhouse of 210 square meters built on 4 levels in Benabbio, a village with basic services about 6 kilometers from Bagni di Lucca. Prestigious stone country home located a short walk from the charming town of San Casciano dei Bagni , with breathtaking views over the town , Mount Cetona , Radicofani and Mount Amiata in the background. 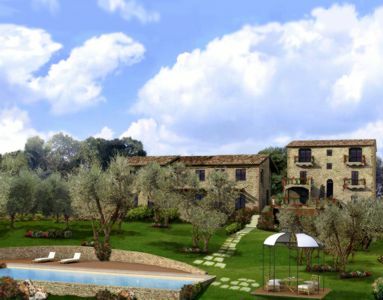 Borgo di Vagli is located in the heart of picturesque Tuscany, just 20 minutes from the popular unspoiled, medieval town of Cortona, and within driving distance of Siena, Perugia, San Gimignano and Florence. Built at the beginning of 1900, Podere Piave is situated in the countryside of southern Tuscany, with views of the gentle hills and just 5 minutes’ away from its long sandy beaches. Private pool, tennis court and football pitch make this villa a place where one will never want to leave.. 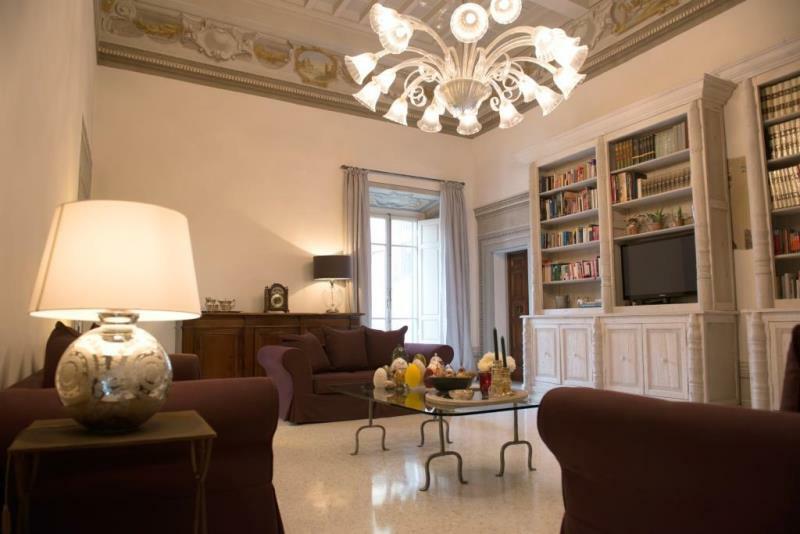 This prestigious apartment is located in the heart of Florence, a few steps away from the Dome and from Santa Croce church. This large and sturdy semi-detached town-house was built in the end of 1800 by the grandfather of the owner and also used as a bakery shop. Characteristic stone house situated in Filettole,near Pisa. 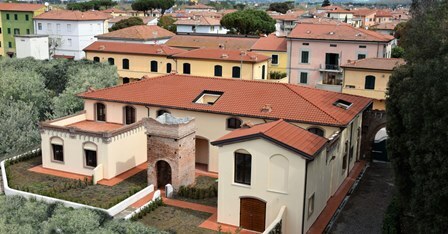 Porta a Mare is a beautifully designed Tuscan urban development, with high quality detailing and materials that capture the vibrancy of the city of Livorno. Consisting of private residences, offices, commercial properties and accommodation facilities set in a site of over 10 hectares (25 acres), it is located along the Nuova Darsena (New Dock) and the ancient port of Livorno, offering a new tourist harbour, sea view and promenade. An impressive 15th century Florentine palazzo located in a well-known central street in the heart of Florence just a few steps away from the most important monuments and museums. This grand villa dates back to the 18th century, in Renaissance style, it is on a hilltop boasting stunning views over the surrounding vineyards and gentle hills. The large estate consists of the splendid villa, a stone built country house, a 16th century chapel. 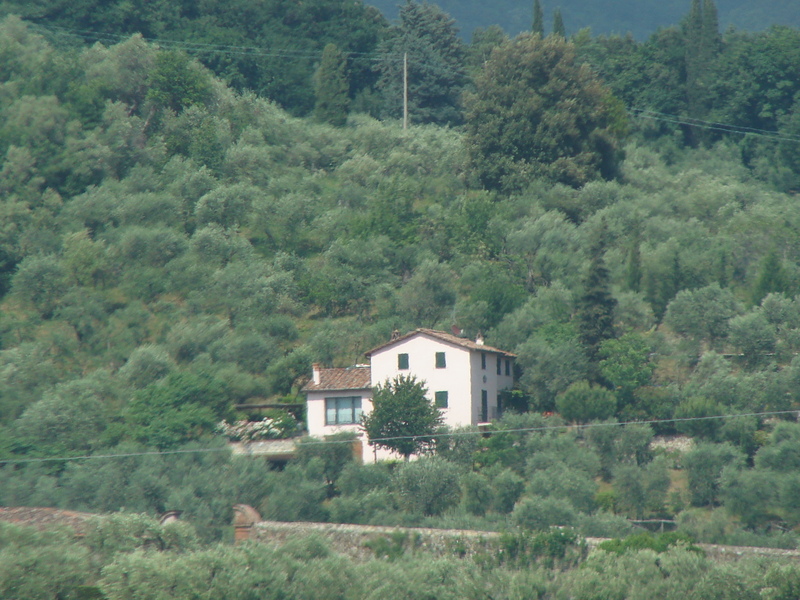 It is situated 5 minutes away from the town of Gaiole in Chianti. Partially restored farmhouse approached by a very quiet lane, in a secluded and tranquil setting with superb open forest views. The property measures c. 300 sqm over 3 floors. 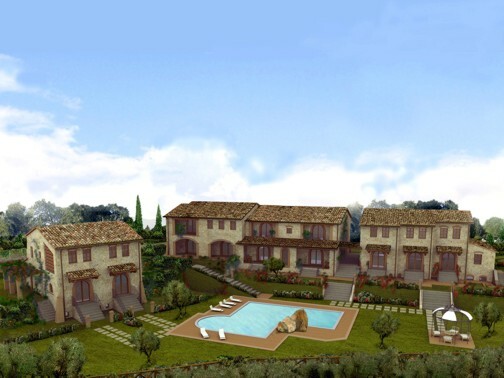 The exclusive Podere Ampella development offers a limited number of select two or three bedroom villas and town houses designed by a group of well known Florence based architects. The Borgo has been meticulously reconstructed by skilled artisans to the highest of specifications employing the traditional Tuscan materials of stone, terracotta and wood. The beautiful interiors combine traditional architecture with stylish contemporary living surrounded by private gardens and pergolas, courtyards and swimming pools –both communal for all residents as well as private to some of the villas. 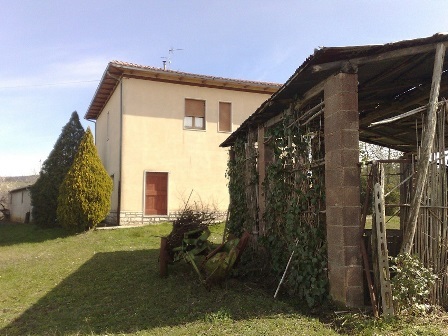 Renovated 2-bed 2-bath home in the village of Stribugliano, south of Tuscany. Walking distance to restaurant and local shops. 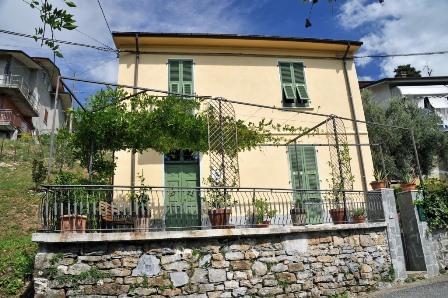 Restored 4-bedroom village house situated in the hills of Lucca, near the spa town of Bagni di Lucca. Large 5-bedroom panoramic villa, approximately 15 minutes away from its medieval walls and historic centre, and less than ½ hour from the long sandy beaches of Tuscany – the famous Versilia coastline. 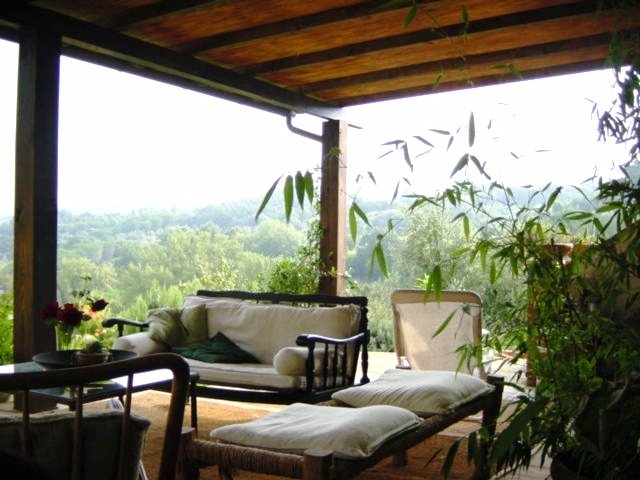 The villa is on a gentle hill and has a panoramic view of the valley, fields and surrounded by olive groves. 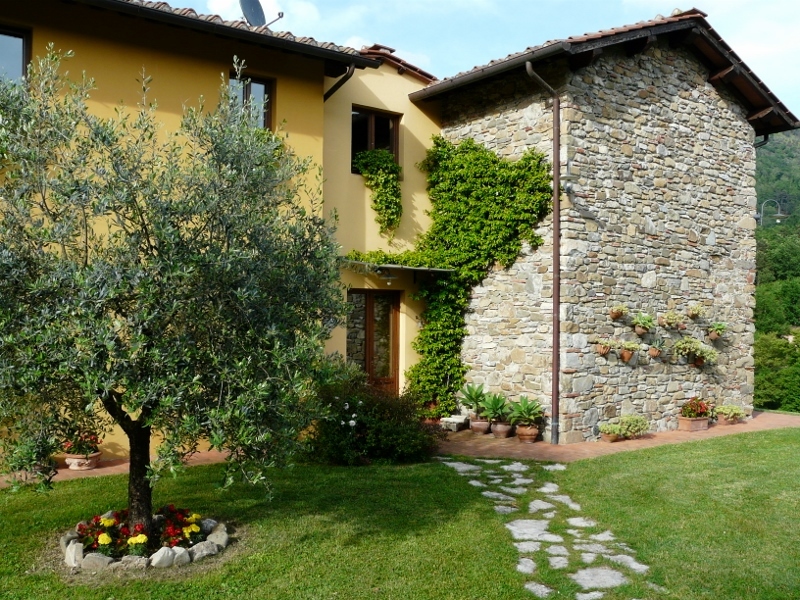 Charming country estate consisting of two stone buildings, well-maintained garden and swimming pool, situated in the Garfagnana region in Tuscany, north of the medieval town of Lucca. The property boasts panoramic views of the valley and is beautifully restored. Podere Miramonti-charming 4-bedroom country house set in 3 hectares of land with beautiful views. Totally restored. 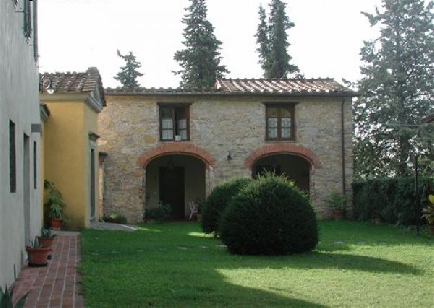 Beautiful country house in the Poppi area, a valley called Casentino in the Arezzo Province. Was €1,500,000 now €750,000 for quick sale! 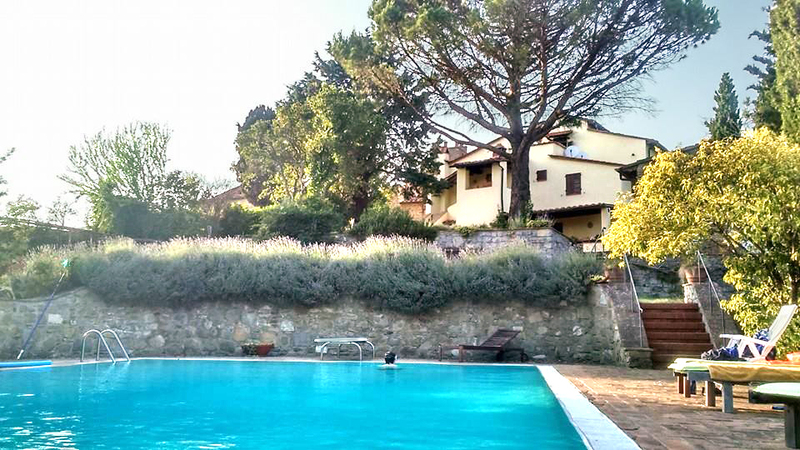 Situated near Gaiole in Chianti, in the heart of Chianti-shire region of Tuscany, this property consists if a very spacious villa with two annexes, a large garden with incredible views and a panoramic swimming pool. 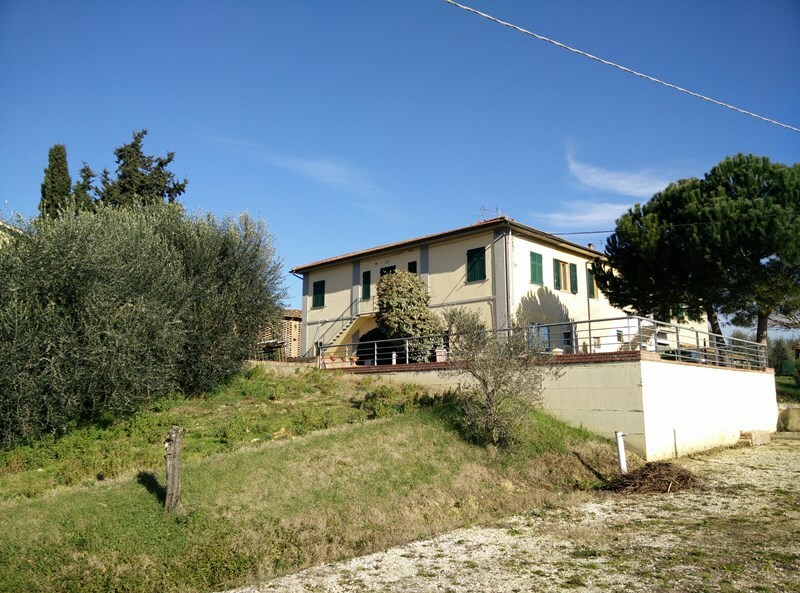 Charming country house, currently running as a well established B&B, situated in the south of Tuscany, near the city of Grosseto, and just a short drive to both the sea and the ski resort of Mount Amiata. This property is located on a bright, sunny and panoramic area and borders to a small natural lake which can be reached on foot. The Villa comes with 60 hectares of land and with various types of vineyards, olive trees and cultivatable land. Castellino Lucardo towers four-stories high next to the arched entrance to a 14th-century hilltop castle, in the Tuscan countryside southwest of Florence. Its commanding height provides uninterrupted views to all points of the compass including the towers of San Gimignano, the Florentine hills, the Tyrrhenian Sea and southern Appenine mountains above Pisa. Its three-year renovation was completed in May 2007 under the supervision of the Italian government’s Office of Protection for historical and artistic monuments. 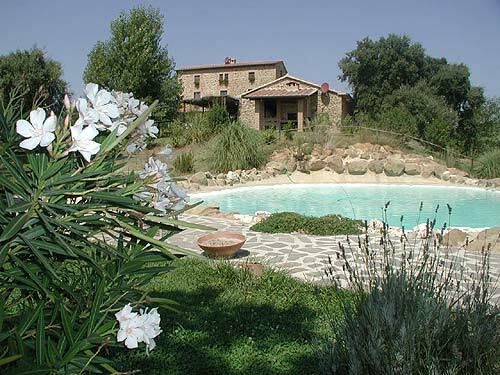 Charming country house in the hills of Tuscany, near the town of Gavorrano in the Maremma – where one can still find unspoilt beaches and countryside. The property is currently an up-an-running B&B. It consists of a large country house of 550 sq.m dating back to 1884. It has been completely restored by maintaining its original features and using the ancient materials. Situated in the gentle hills of Lucca, just 10 km from the centre of this charming medieval town, this elegant villa dates back to 1700. 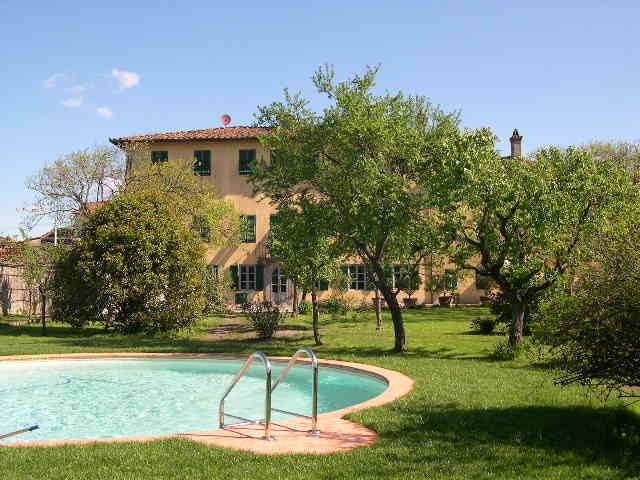 Villa Petrisco is part of an 18th Century Tuscan mansion located a few minutes from Cortona. Surrounded by a park of three hectares of pines and cypresses, the resort has an enchanting view of the Valdichiana and consists of a luxury boutique hotel, a chapel, a communal swimming pool, restaurant, gazebo and a small borgo consisting of 6 apartments with private gardens. The apartments are being sold as 1/10th ownership share with 5 weeks use per share. Today these seven properties form the bulk of a resort which has been transformed into several private, well appointed apartments and three magnificent country houses. 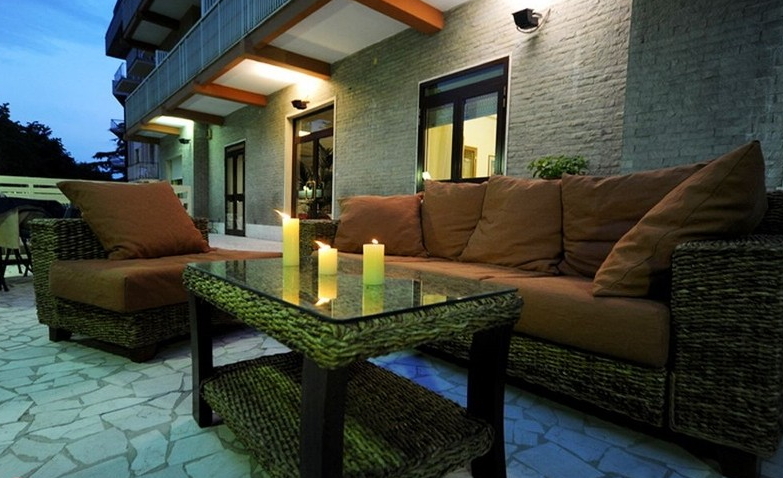 Each property has a private parking space for two cars and private gardens. A number of apartments also include a private terrace, and all properties have panoramic views over the hills and the surrounding vineyards. The apartments measure from 70 sq m to 220 sq m and they are built by maintaining typical features such as terracotta tiles for the floors, natural sand stone for the bathrooms and the imposing staircases leading from one floor to another. Some apartments also boast frescoes. Manzano Golf Resort will be the first-ever golf resort in Cortona. It will span approximately 200 acres and will include an 18-hole championship golf course designed by Gary Player Design, a four star luxury hotel with 40 rooms, and 36 units of high level architectonic and furniture design. The Resort consists of a central core complex (approx. 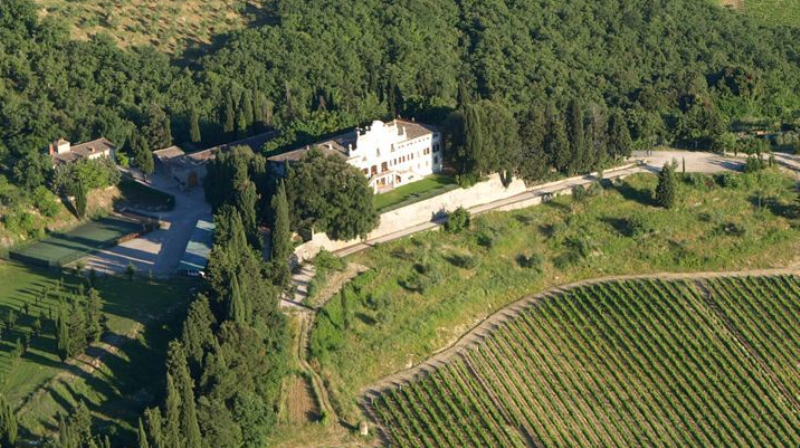 12 acres), encircled by the greens of the golf course, and the vineyards of the Tuscan landscape. 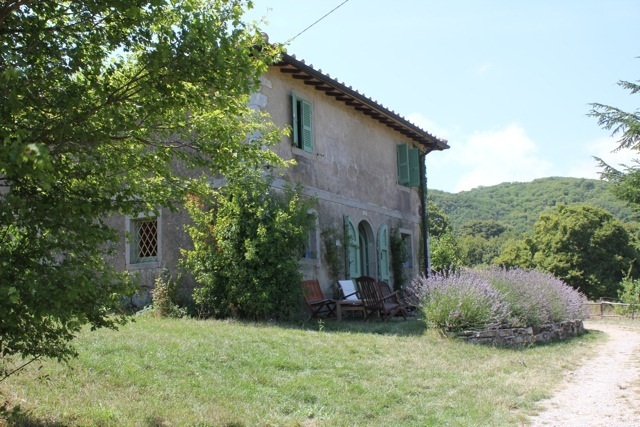 This property is in the hamlet of Colle di Cerignano is very peaceful, ideal for those looking for a retreat but at the same time is conveniently located just a short drive from the coast (35 minutes’ drive away from Lerici, the Cinque Terre, etc), the ski resort (approx 1 hour) and Pisa International airport (just over 1 hour’s drive). The property consists of a house of 170 sq m on three levels – which is currently divided into two self-contained apartments. 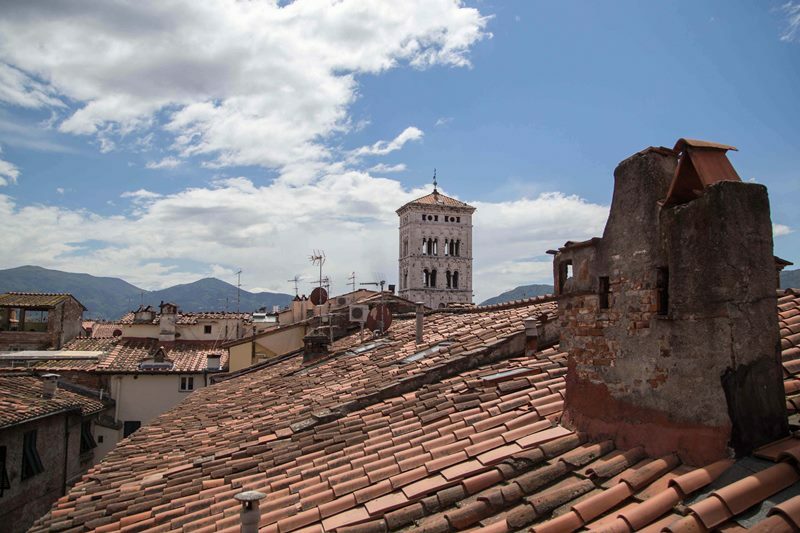 Spectacular top floor apartment with panoramic views is in a Palazzo which was built at the end of the 19th century and situated in the town centre of Barga, a charming town in the hills of Lucca, famous for its annual jazz festival. This property has been completely refurbished throughout with no expense spared on the quality of materials and workmanship. Beautiful views from its roof terrace. Borgo Chianni is situated 5 minutes’ walking from the village of Chianni, where there are local shops, restaurant and bars. 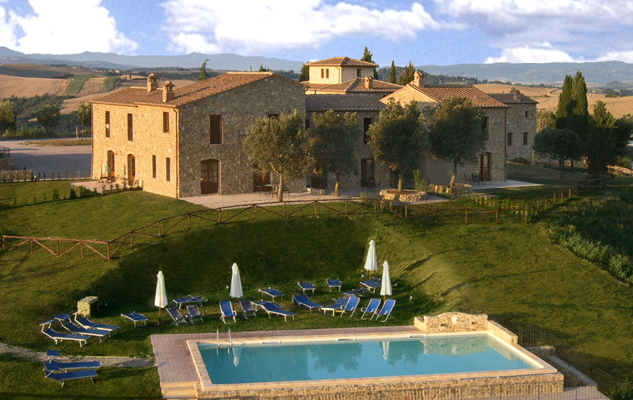 The complex is nestled high on a ridge overlooking the rolling hills and valleys of Tuscany. 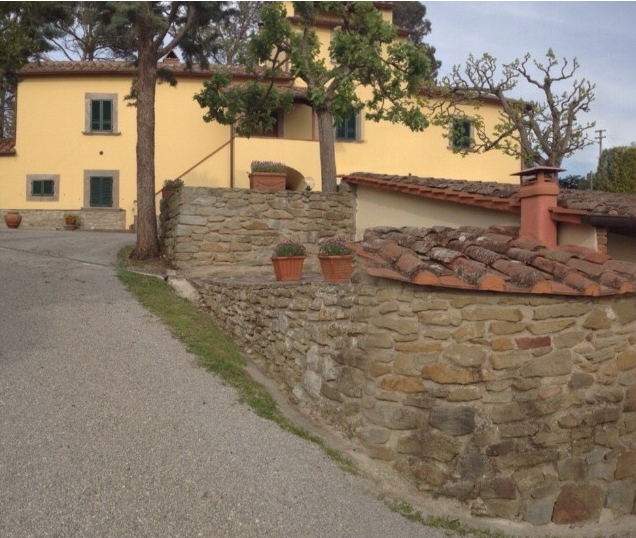 Borgo in Chianni will offer easy access to Pisa airport which is ideally located approximately 30 minutes northwest of Chianni and less than an hour drive to Florence. The coast is also approximately half an hour’s drive away. 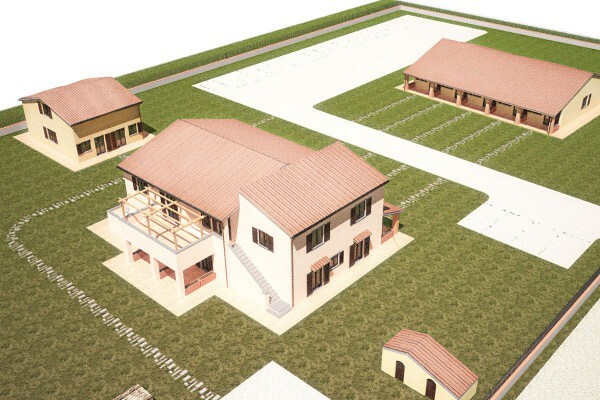 Ville degli Olivi is a project developing in Lajatico, walking distance to the centre of the twon and with beautiful views over the countryside that takes to Volterra. 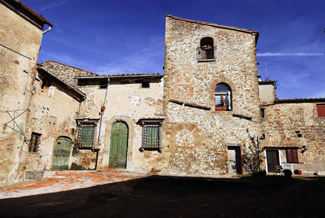 Lajatico is a charming village of medieval original with all main services, restaurant and famous for its theatre (theatre of Silence), a natural theatre framed in the hills of Lajatico. The Italian singer Andrea Bocelli, its honorary president, performs at the theatre, every July, while for the rest of the year it remains silent. Lajatico is approximately 30/35 minutes’ drive from the coast. For those loving Tuscany, art and sea, new-built single or semi-detached villas with possibility of private swimming pool or hot tub in Pietrasanta. Less than 10 minutes walking to the long sandy beach, close to services, shops and restaurants but at the same time in private and very leafy location. 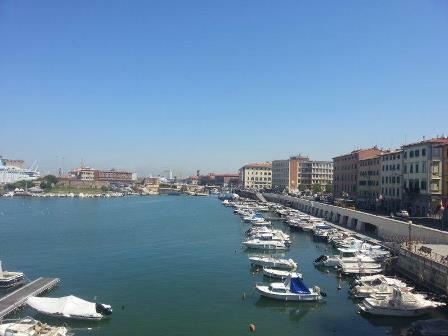 Pietrasanta is a charming town, rich of art and history, just 30 minutes from Pisa Airport. 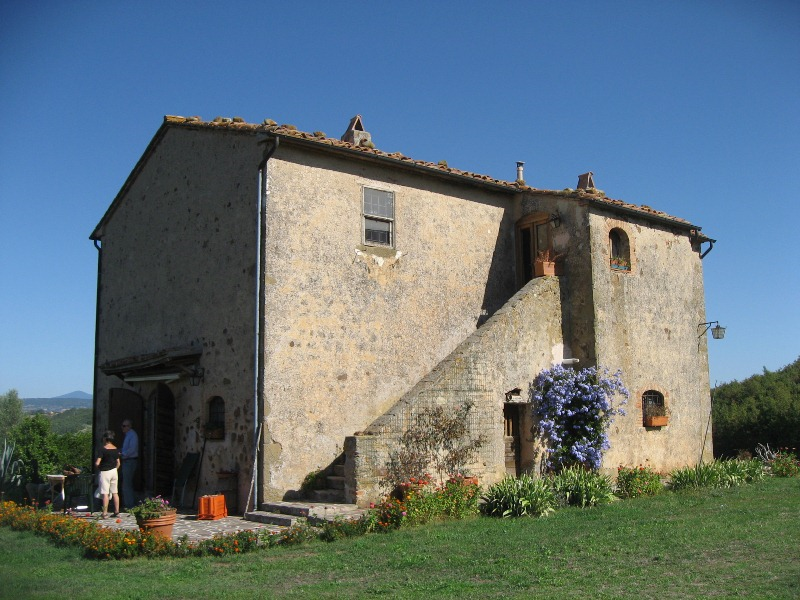 Panoramically located and finely restored former mill, dating back to 976 AD. 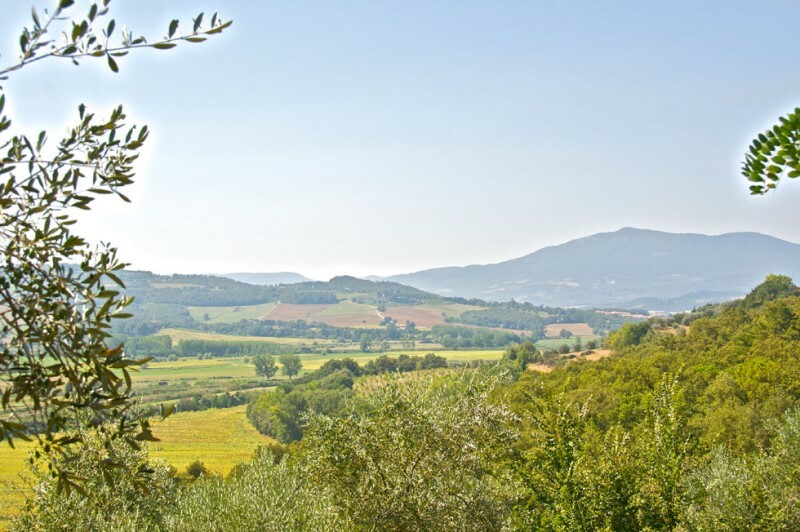 It is situated on the border between the Val d'Orcia and the Maremma regions, with Siena just 20 minutes away, Montalcino 30 minutes drive and the coast less than one hour away. 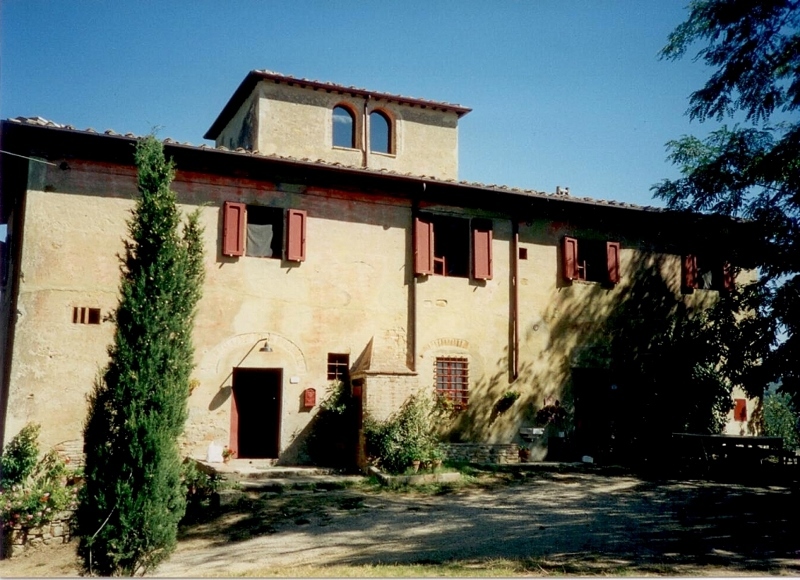 The property has been recently restored to the very highest standards and it still retains many of the original Tuscan features including terracotta floors and ceilings, large exposed wooden beams, open fireplaces and mill stones. 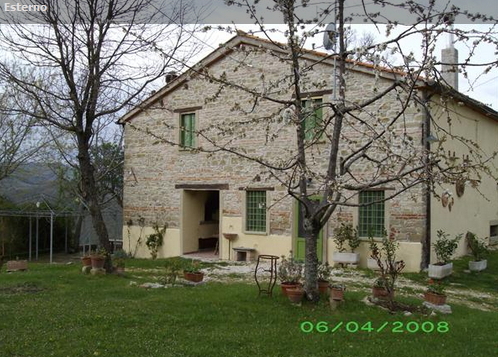 Umbrian farm house with splendid gardens and typical features of the area. 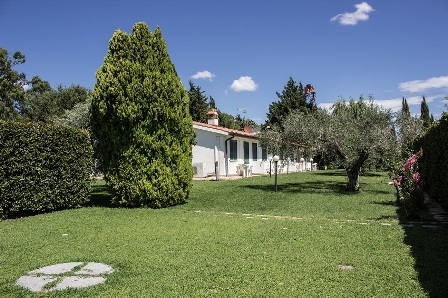 This charming country home is situated just few minutes’ drive away from the hilltop town of Citta’ della Pieve, and walking distance from local shops and restaurants. 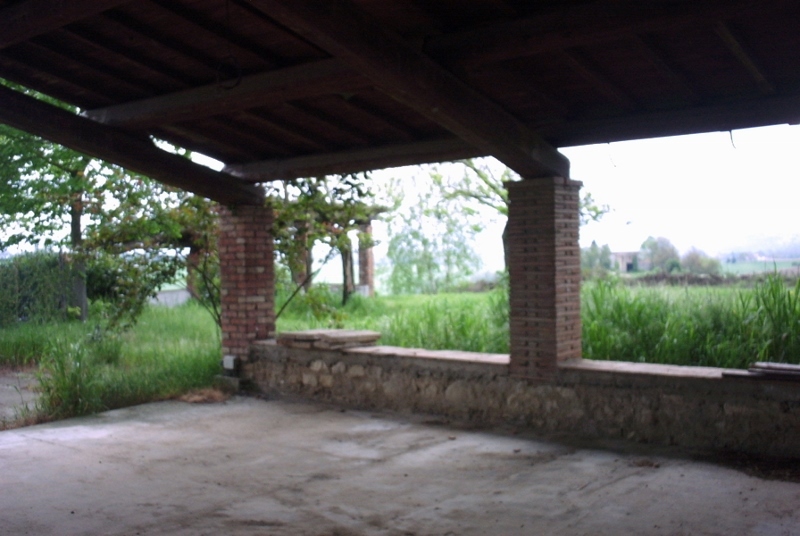 In a nice hilly location with open view close to Bagni di Gavorrano, villa ready to be moved into built on a single level. Beautiful newly built villa, part of a prestigious new complex known as ‘le Ville del Forte”, situated in the trendy and renowned Forte dei Marmi along the Tuscan coast. 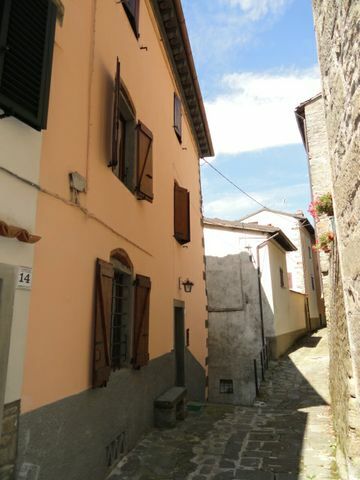 A charming stone built town house, in the heart of a hill-top village, only 10 minutes’ drive to the Tuscan sea. San Marco is a well maintained ranch located in the charming area of Rosignano Marittimo, surrounded by the typical Tuscan hills. Lovely apartment at the 4th floor of a period building with lift in Marina di Carrara. Farming business in the town hall of Castelfiorentino, in the province of Florence, with approximately 140 hectares of arable land, grapevines and olive trees. 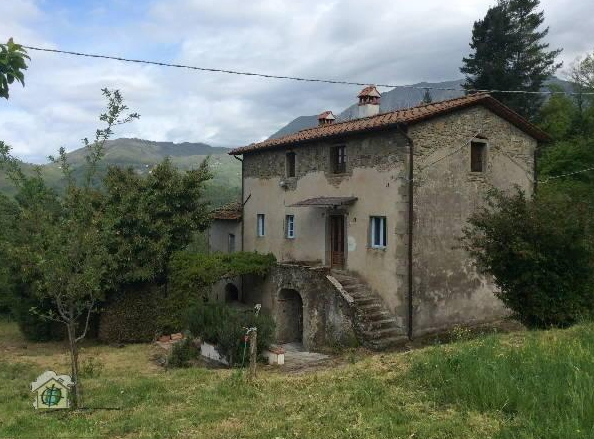 Large farmhouse, completely renovated and in very well condition, now used as a B&B, with stunning view over the Apennine Mountains, situated very close to the little village of Sant’ Adriano, north of Florence. 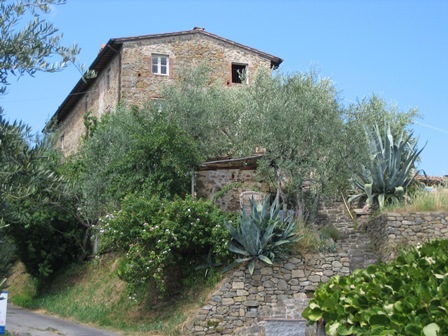 Farmhouse situated in the heart of the Tuscan hills and only 2 km from the railway station of Castelfiorentino, in the province of Florence. Typical Italian townhouse of the edge of the town of Barga in the province of Lucca, in the village/hamlet of Ponte di Catagnana. 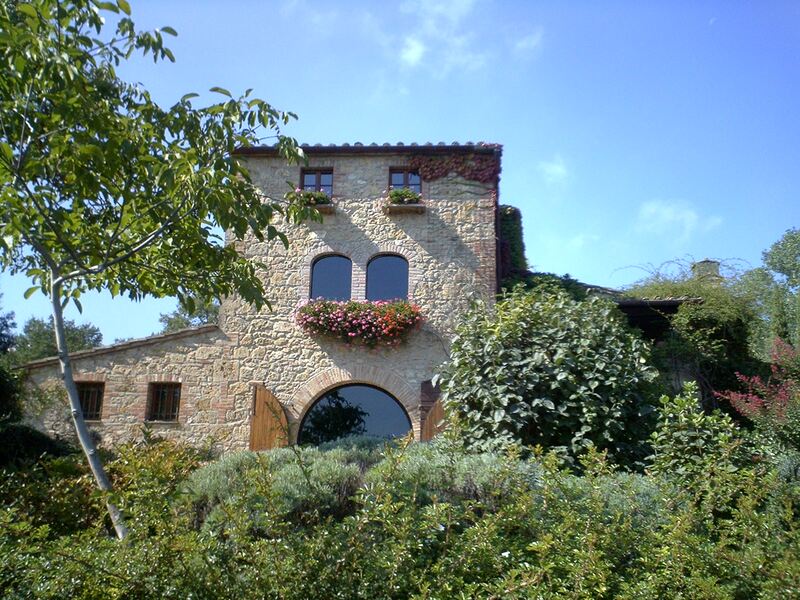 Charming, old house in Tuscany, surrounded by 12 acres of gardens, vineyards and olive groves, with beautiful scenery hills. 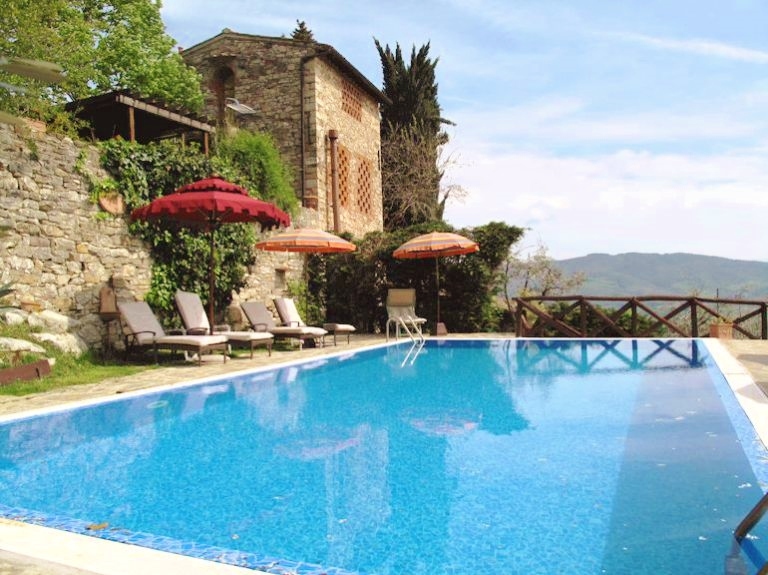 5-bedroom hilltop villa with swimming pool and large grounds in Cetona, Tuscany – one of Italy's most naturally beautiful villages. 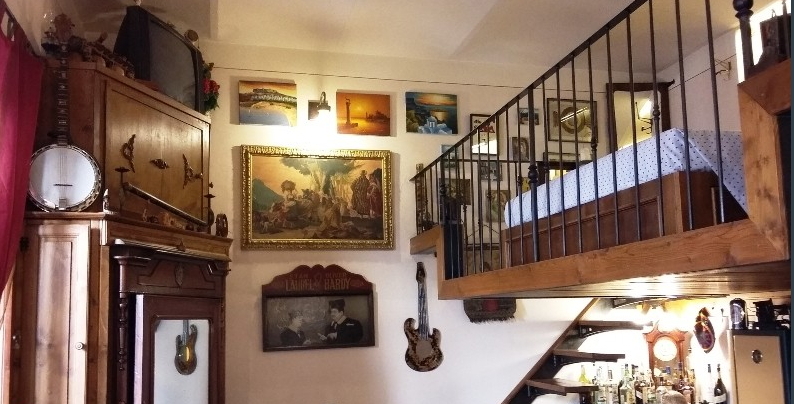 Beautiful restored apartment in a 16th Century fortress. This unique apartment is part of a medieval fortress (it is a national heritage monument) which has been restored and divided in 42 units. 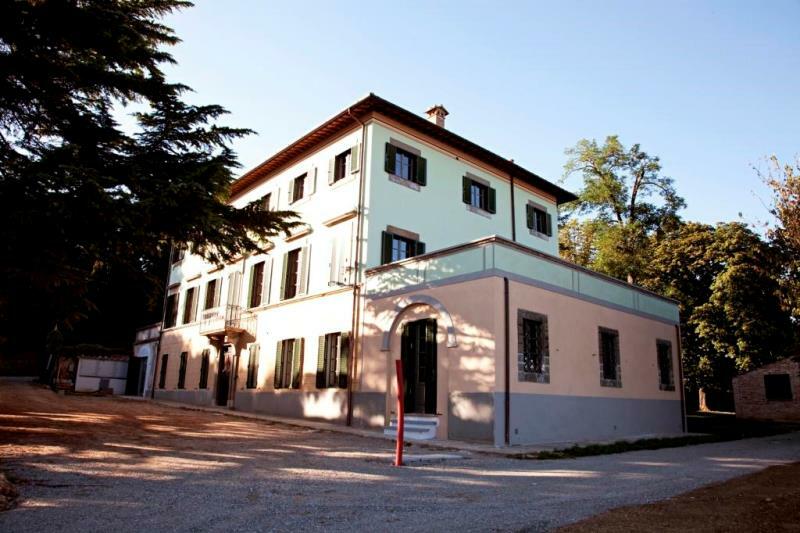 Nineteenth-century manor house located about 3 km from the city centre of Lucca. Externally the property is in excellent condition, having recently undergone renovation work on the roof, the facade and some plants. 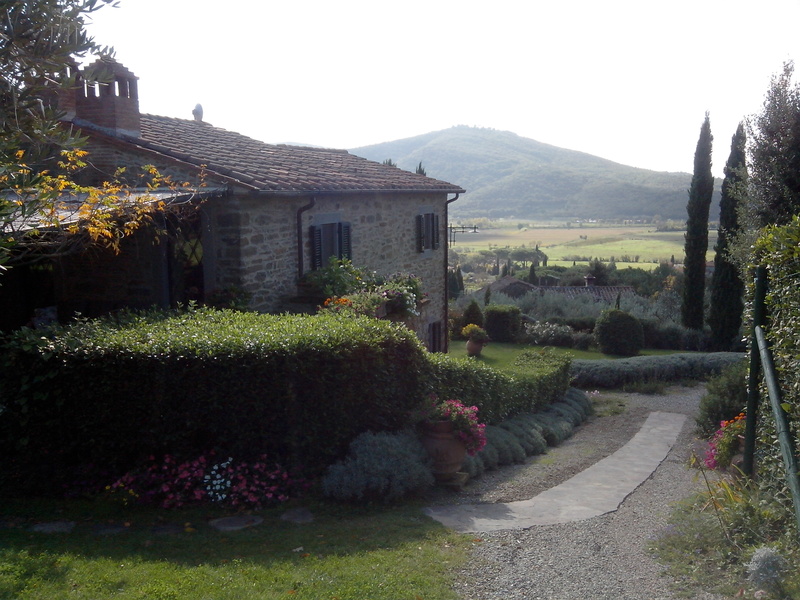 Beautiful Tuscan villa with stunning views over the Orcia Valley. Prestigious apartment in the historic Verzoni-Bizzocchi palace, in the heart of the historic centre of Prato, medium size city just 20 minutes from the centre of Florence. 2 – storey Villa surrounded by a beautiful park of about 4 hectares comprising olive groves, cypresses and oaks, located in a private location on the prestigious Segalari Hill with beautiful view over a charming valley and the Bolgheri hills as well its "Castigioncello”, in Castagneto Carducci. 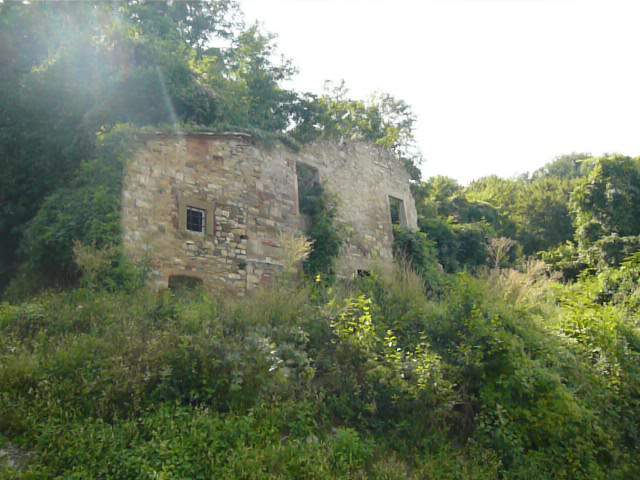 Stone built country house, free on four sides and located on a hilly position 450 meters a.s.l. 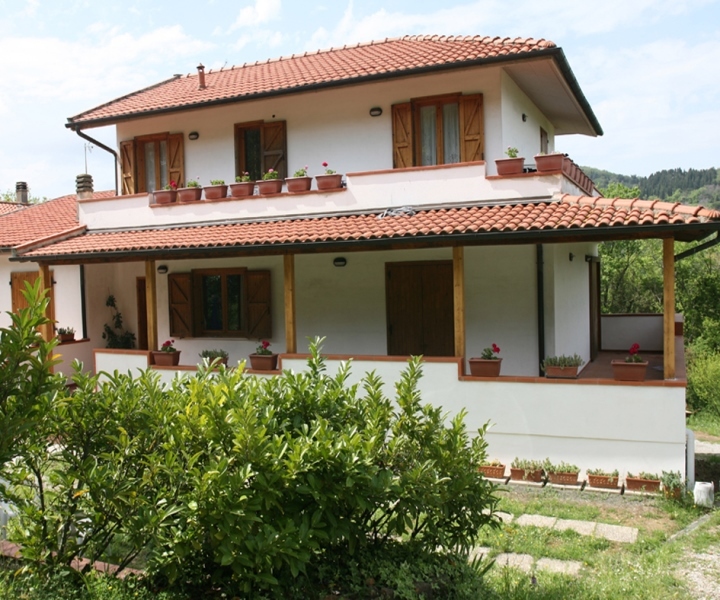 In Villa Collemandina, farmhouse with garden and private swimming pool, recently renovated, with panoramic view over the hills of Garfagnana. In the heart of the Chianti region, Farmhouse keeping its ancient taste, situated in a very private location with views over the Tuscan country side. 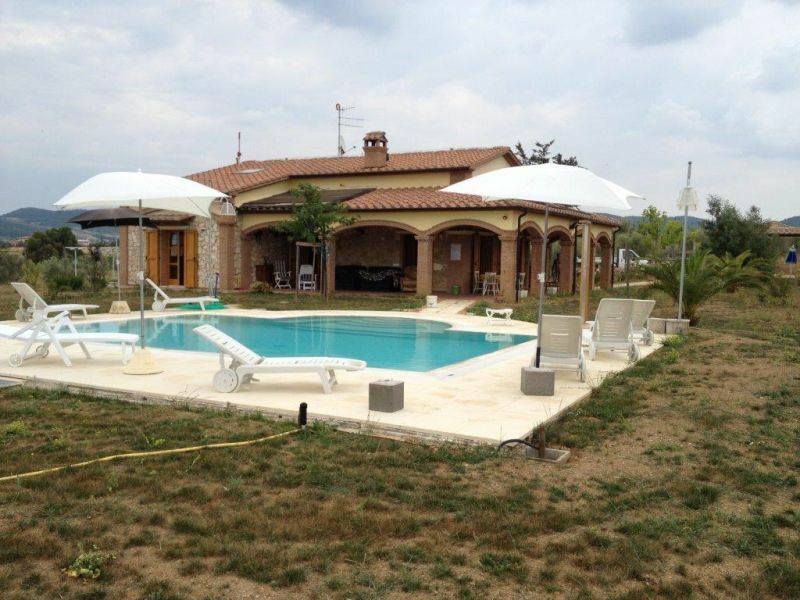 In Montespertoli, villa located on top of a hill with a great view over the surrounding countryside. 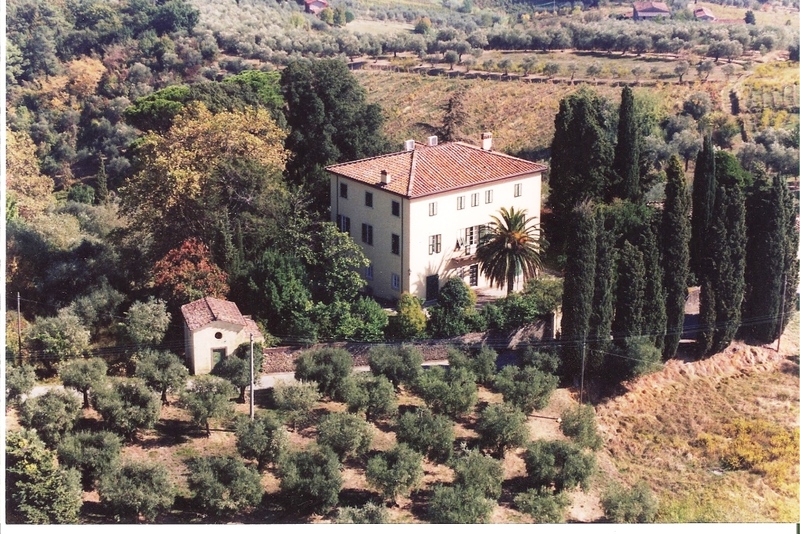 Typical Tuscan country house immersed in the green countryside, only 15-20 minutes 5 kilometers from Lucca. The house is situated in sunny and private position, on top of a hill and with a total panoramic view over the surrounding hills and woods. Situated on a gentle hilltop this is a large country home dating back to 17th century, completely restored, just 3 km from Cortona. Situated only 5 km from the centre of Cortona, typical stone built country house in the process of being completely renovated. It will be sold completely finished before Summer 2016. 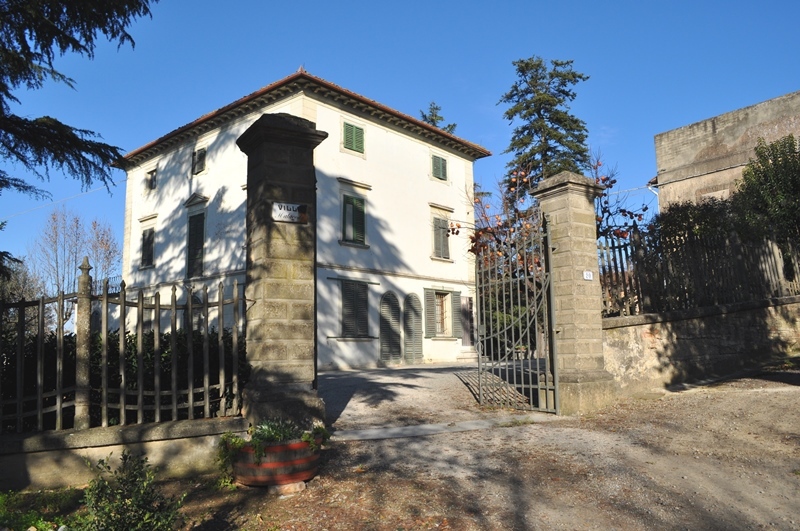 Large estate in the nearby countryside of Lucca featuring a renovated period villa, which dates back to the 18th century, and 2 large outbuildings. 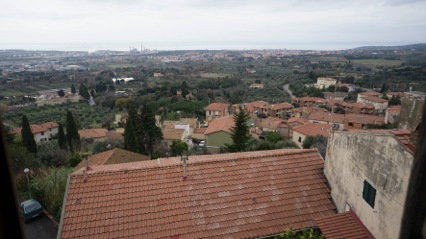 Apartment located in Chiusdino, a hilltop village situated between Siena and the seaside of Follonica. Villa Bellavista is a charming period villa situated in hilly position, with views over the bay of Follonica, the sea and Elba Island. The Marina di Scarlino is ideally situated in what is perhaps the most beautiful bay in Tuscany, behind which the gentle hills of Maremma offer a spectacular view of Scarlino’s Medieval castle. Totally refurbished villa with infinity pool overlooking the sea and private access to the beach, in one of the most exclusive areas of Tuscany. 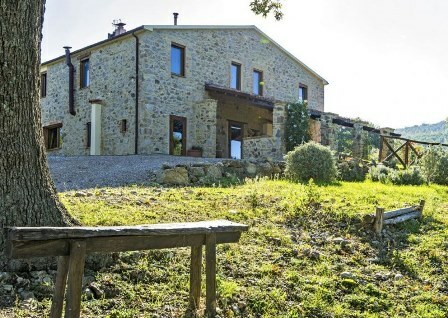 In Barberino del Mugello, typical Tuscan stone built house, built on two levels and surrounded by a large piece of land. Both ground and first floors are with red tiled terracotta. 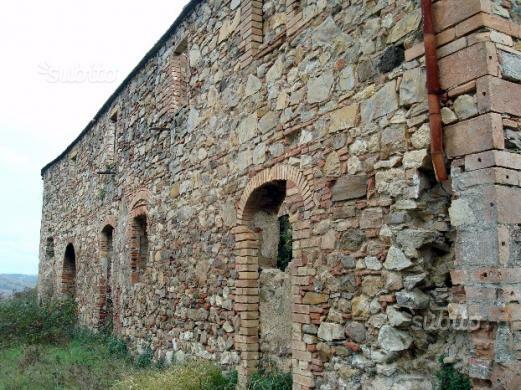 Ancient Borgo (hamlet) with 3 new buildings under construction located just 2 kilometres from the east coast of the Promontory of Piombino, in front of the Tuscan islands. It is just 5-10 minutes to the beach. 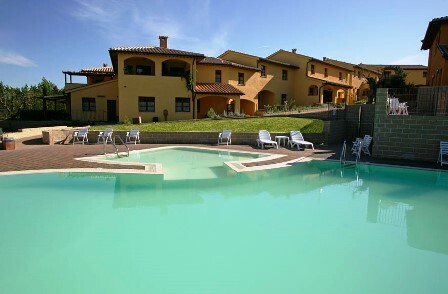 Borgo degli Olivi is a charming residential complex in the Tuscan countryside, just 15 minutes to the sea, near Suvereto, in the area known as the Etruscan coast. Aulla Castle is a charming medieval building, originally the servants' quarter for the existing Castle of Podenzana. 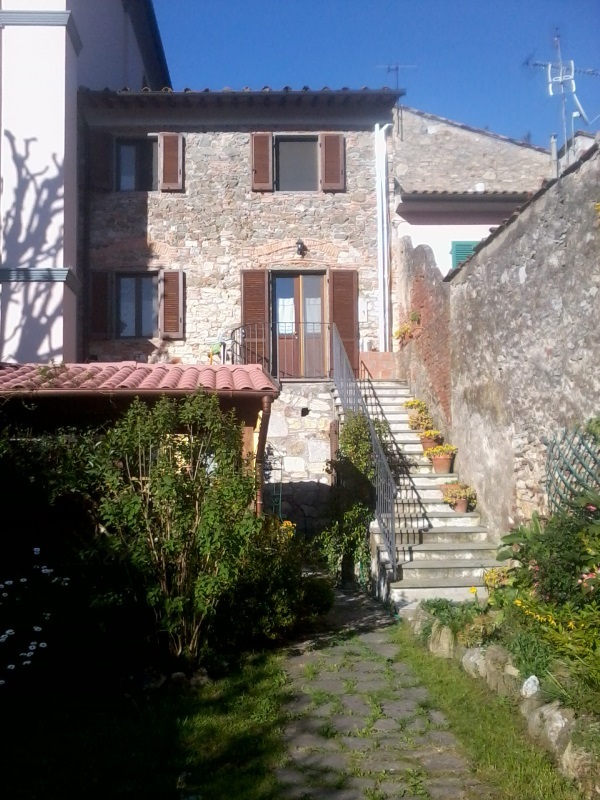 A short drive from the medieval town of Lucca, renovated town house with private garden. 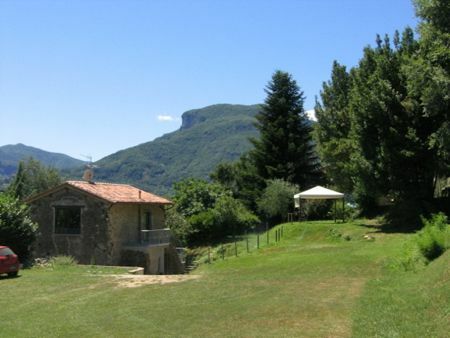 2 kilometres from Castelnuovo di Garfagnana with all kind of services and shops, plot of land measuring 5,5 hectares, surrounded by green woodland and mountain views. In Chiusdino, a village with restaurants and bars, partially renovated apartment measuring 89 sq m composed of living room with kitchen area, 2 bedrooms, bathroom balcony with panoramic views over the valley. 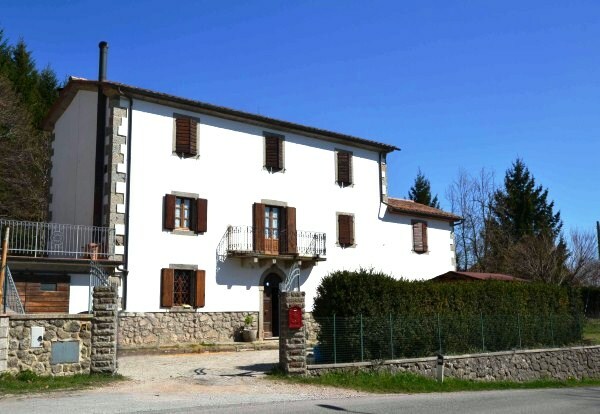 Set in a village 8 kilometres from Borgo San Lorenzo, Mugello area, country house measuring 450 sq m, built on 3 levels to be completely renovated located in panoramic position with view over the valley. 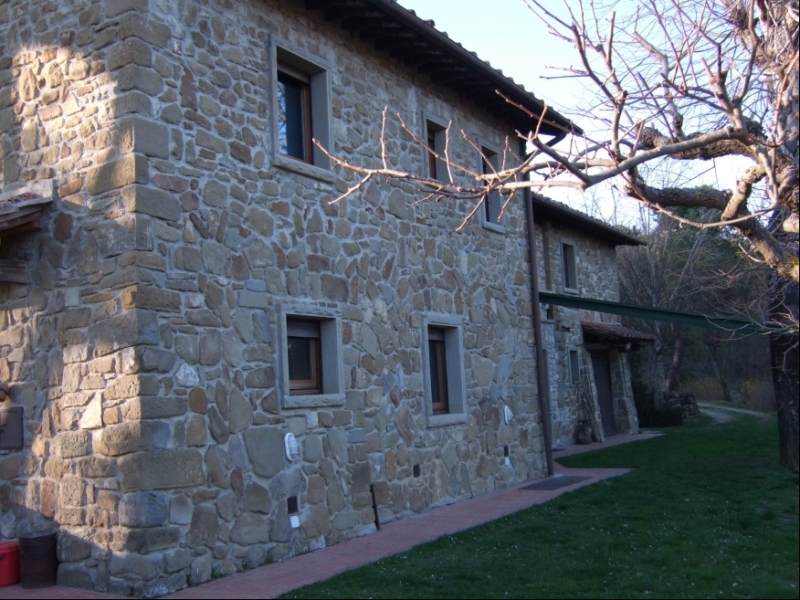 In Chianni, typical Tuscan stone built country house, renovated by maintaining the original features such as wooden beam ceilings and cotto flooring. Situated just 3 miles /5 km from the centre of Cortona, on a gentle hill boasting panoramic views over the Tuscan countryside, elegant stone built country home with swimming pool. This apartment is part of a complex comprising 15 units and with lovely view over Villa Malaspina, the medieval village of Castelnuovo Magra and the sea, which is just over a couple of miles away. The apartment is partly furnished and has a typical Tuscan style, with stone arches and brick-vaulted high ceilings dating from the 1700s. 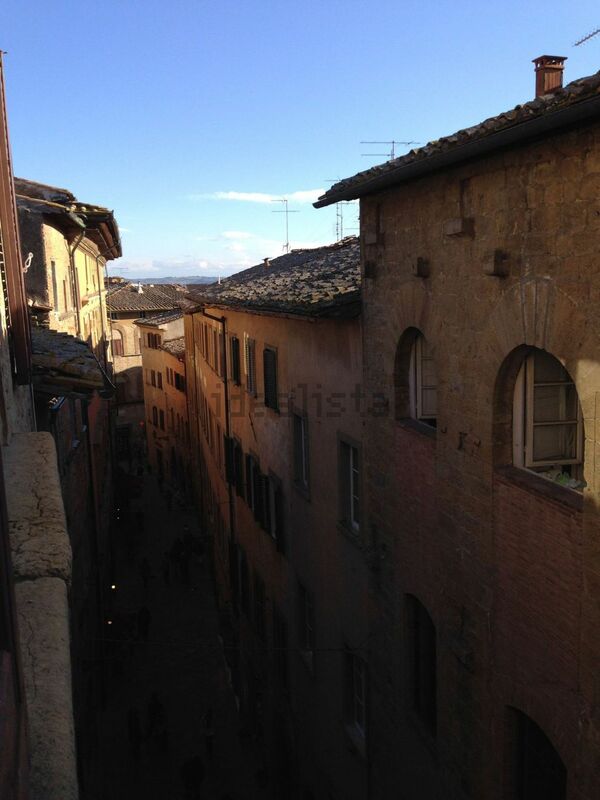 In the town center of Volterra, apartment in good condition and habitable with no need of any works to be done. 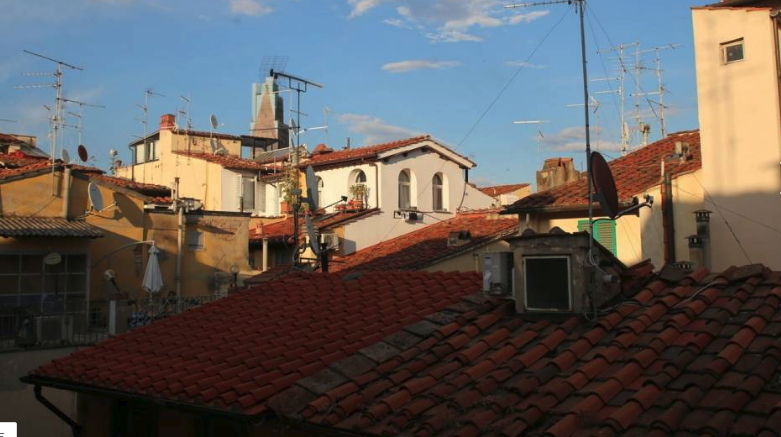 The property is set on the third and top floor of an historical building and comes with typical Tuscan features. 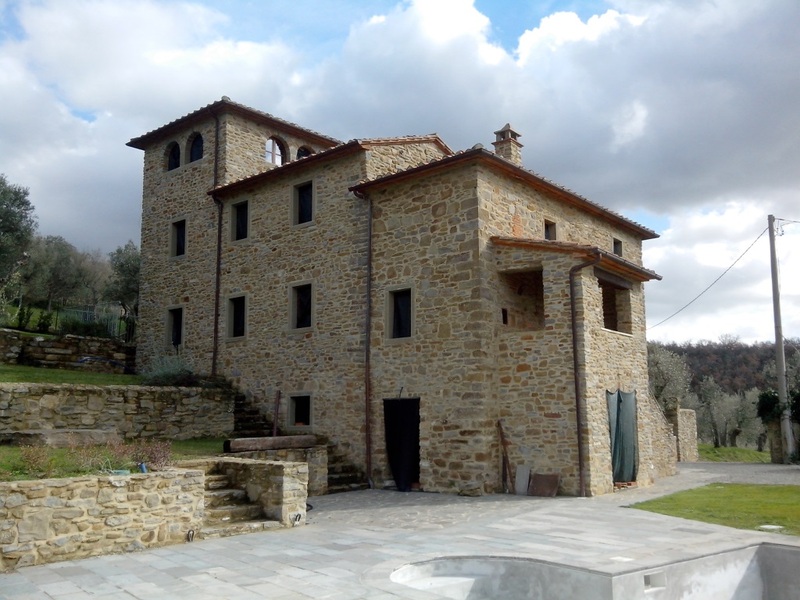 Apartment situated in the recently completed complex of San Sano, in the heart of Chianti. 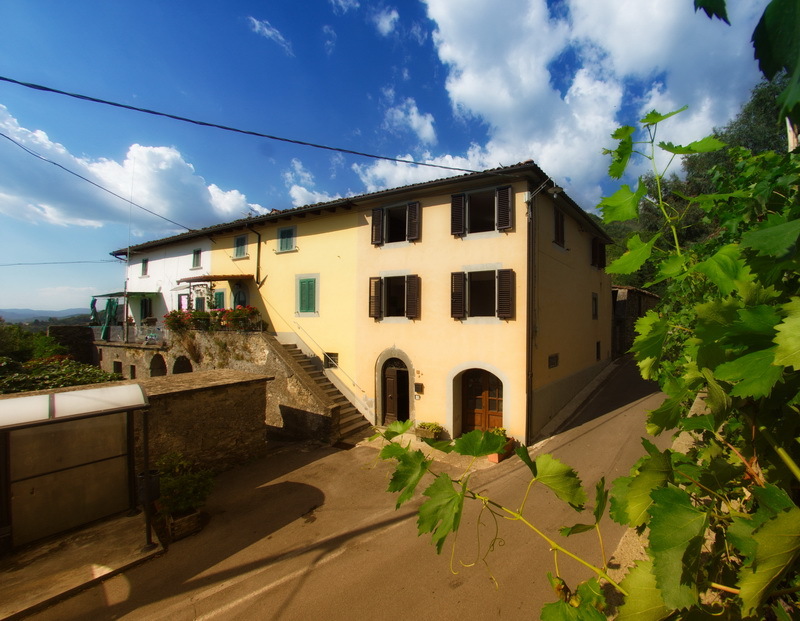 Charming 3- Bedroom village house in Fosciandora, in the Garfagnana region of Tuscany. The fully furnished house, boasting a private walled-in garden with a kiwi vine-covered terrace, a covered area with sink and traditional bread oven. 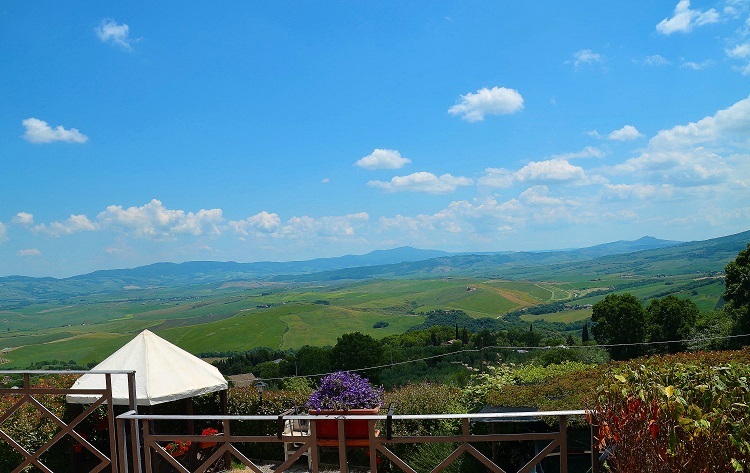 With views over the Pisan hills, situated in the hills, just few minutes away from Lajatico, famous for its ‘Theatre of Silence", run by the International singer Andrea Bocelli. 6-bedroom country home Situated on a hilltop, in the Maremma region, south of Tuscany,in the process of being restored and giving the opportunity to the buyers to personalise their perfect home in Tuscany, boasts views of the Val d’Orcia, up to the Amiata mountains and with sea view in the clearest days. 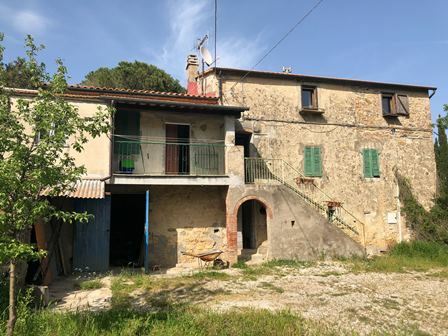 3-bedroom house set in the Giglio island, a rare opportunity to renovate a villa – with possibility to extend - with private access to the beach and stunning sea view. 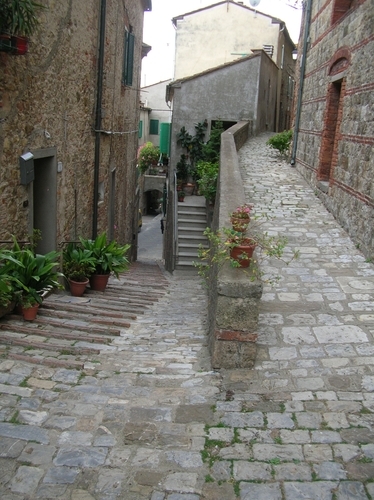 The sea can be reached through a stone built staircase. 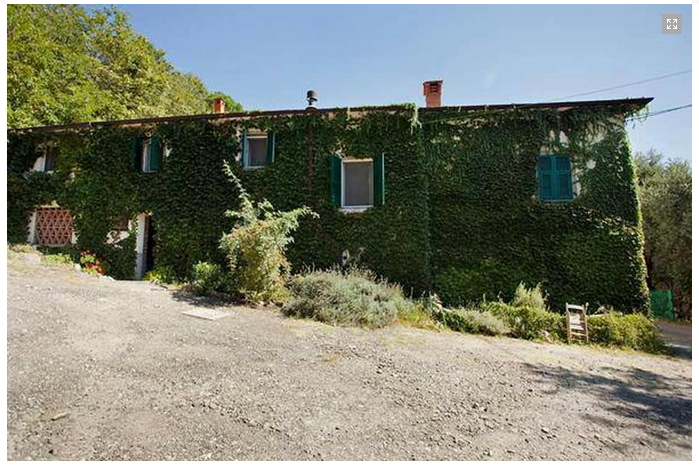 A charming 5- Bedroom Country home Situated in the hills of Lucca, in a peaceful and panoramic location, totally renovated in 2007. The property boasts terracotta tiles, exposed wooden beams, new bathrooms, solid wooden windows. 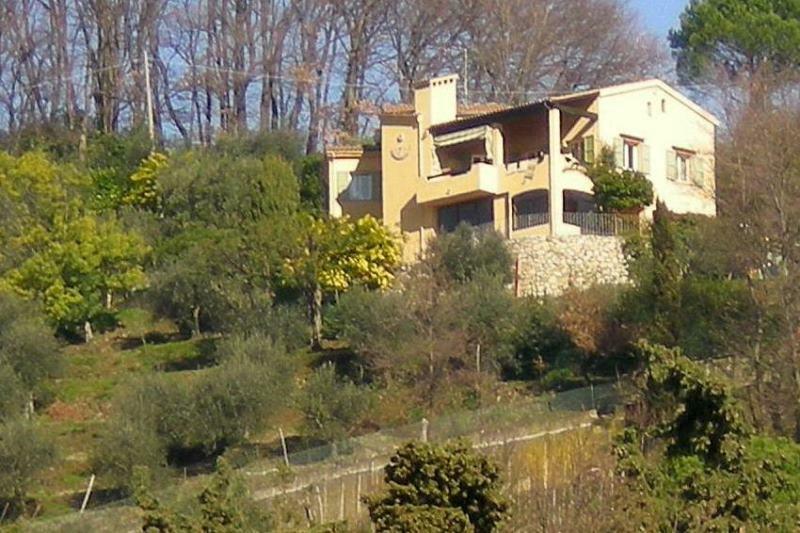 Lovely 3 - bedroom luxury villa immersed in a very quiet area on a hilltop with amazing views on the Versilia seaside and Pisa Tower in the distance. The villa is in perfect condition and ready to be moved into, permanently inhabited by its owners. 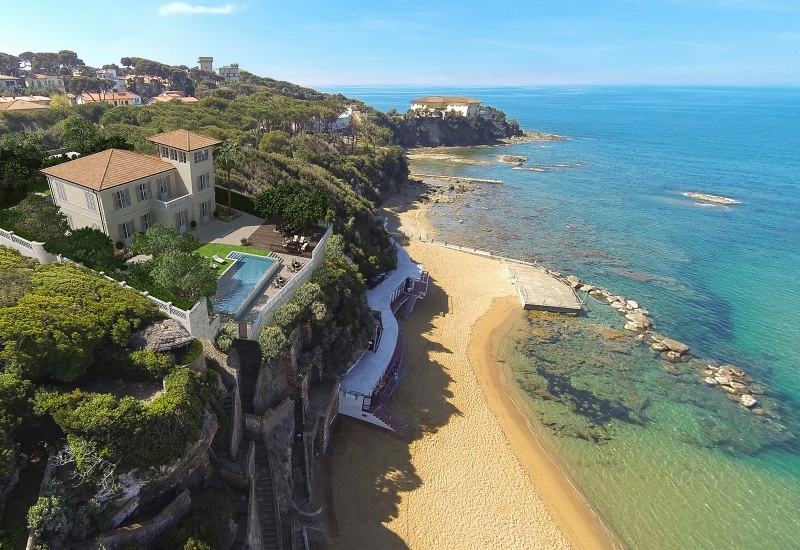 With stunning sea view and private garden situated within the estate of Le Picchiaie Resort in the Elba Island. Situated in the hills around Lucca, in the area known for its beautiful period homes, a prestigious 18th century villa with views over the surrounding olive groves and vineyard. The villa was recently restored by maintaining its original features. 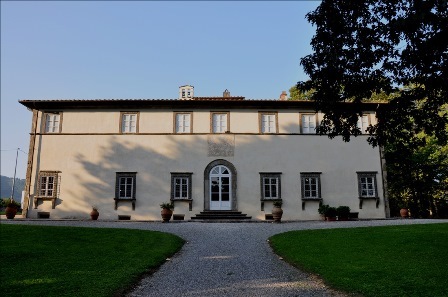 An exclusive estate situated in the hills around Lucca, in the area known for its beautiful period homes. The property includes a prestigious 18th century villa and a country home with Chapel, all surrounded by olive groves and a vineyard on a gentle hill. 1-Bedroom Fully furnished apartment completely and finely restored. On the first floor of a period building, with elevator, situated in the centre of Castiglion Fiorentino. 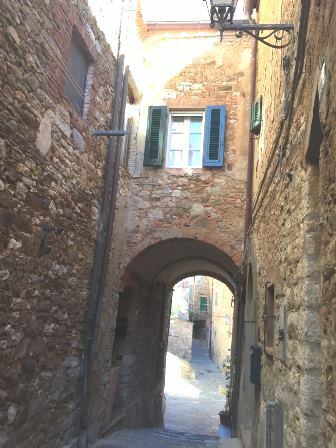 Town house situated in the charming village of Campiglia Marittima, a short drive to the long sandy beaches of Tuscany and walking distance to all services, restaurants and bars. 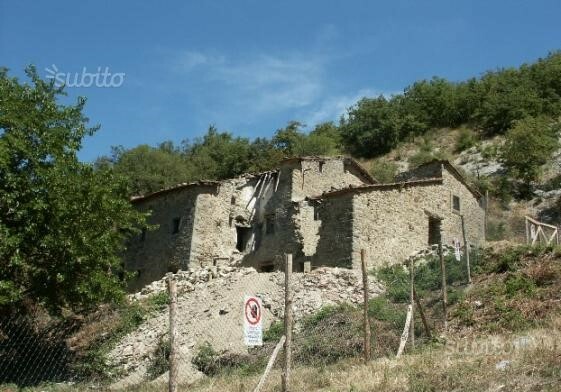 Stone built country house, now plastered over, situated in the Mugello region, north of Florence, which is 30 km away. Working all year in good position with panoramic views of the countryside and the centre to walk to shops, restaurants and the thermal baths of Chianciano Terme. Large panoramic terraces, meeting room, game room, library, washing dry cleaning, safety deposit boxes. Situated in the hills of Lucca, just 12 km to the centre of the Medieval walled town, and 20 minutes’ drive away to the long sandy beaches of Tuscany, a charming stone built house with panoramic views over the countryside and olive groves. 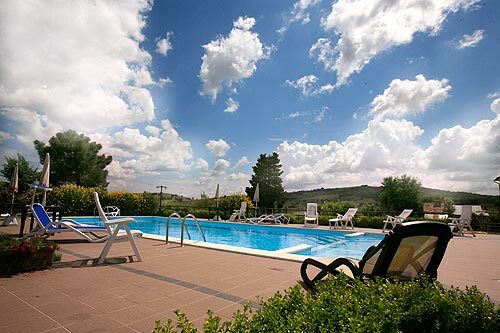 Part of a 4 star resort with swimming pool and allocated parking spaces, 5 minutes from the medieval village of Scarlino, and few minutes’ drive away from the most beautiful beaches of the Tuscan coast, 2 fully furnished apartments ready to be moved into. This attractive 5 - bedroom farmhouse is in good condition and it is located in a sunny position with panoramic views overlooking the countryside in a private location, but not isolated, with other houses nearby. 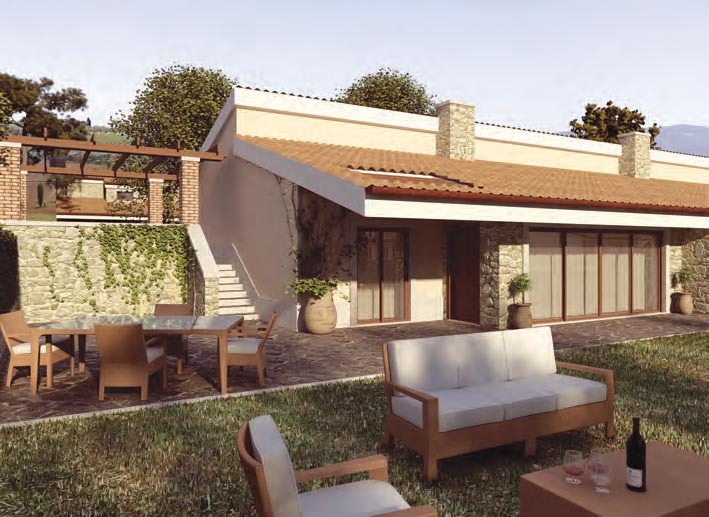 The property includes 3800 sq meters of fenced land with olive trees, fruit trees and woodland. 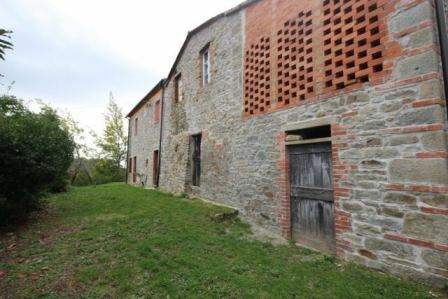 Barn of 115 square meters with new roof, but to be restored, is also a part of the property. Fully renovated and beautiful 5 - bedroom Periodic Villa within walking distance of the village and a short stroll to restaurants and cafes. Situated between the towns of Lucca – 15 minutes away - and Pisa -circa - 25 minutes’ drive away, while the coast is circa 20 minutes far. The 300-year-old villa is a luxury home with a stunning infinity-edge swimming pool finished in travertino marble that can be heated. 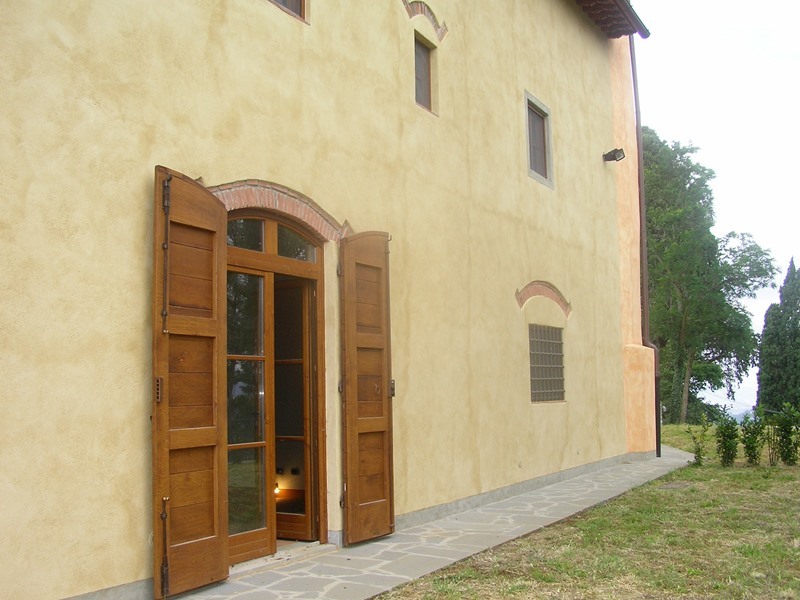 Beautiful agriturismo wtih B&B - Consisting of 3 buildings, Situated 1 hr’s drive south of Florence, 1 hour from Siena and 40 minutes’ drive from Cortona, with also Lake Trasimeno and its beaches 50 km away. The main building is the farmhouse with about 160m2 of living space, on 2 floors. The second building – measuring 60 sq m - features two bedrooms with en-suite bathrooms, laundry room. The third building is currently used as show room and for the sale of products rather than for accommodation but this could be converted into further suites should one wish. 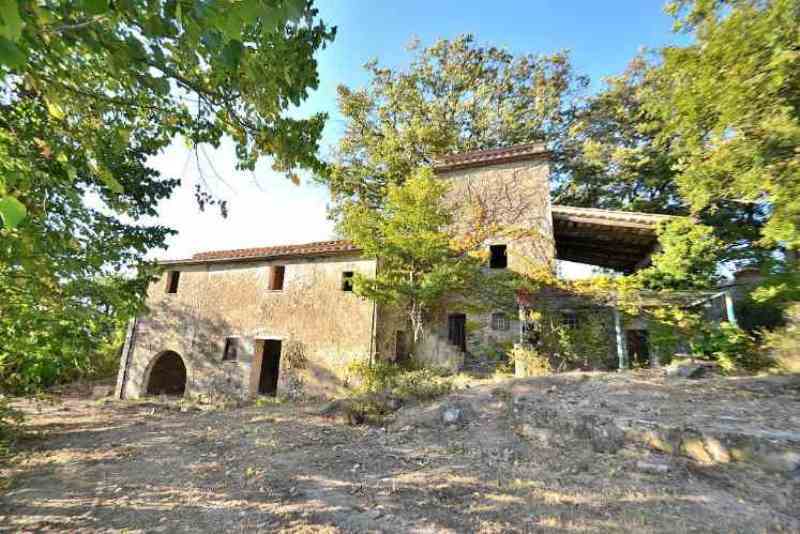 The property also includes an outbuilding of 30 sq m.
Near Castagneto Carducci in an enchanting location on the ridge of a hilltop, this estate has a spectacular 360° view that reaches all the way to the sea. Ideal for an agritourism business or for a B&B, as well as a private family house. The country house lies in 6 acres of land, where there is a stable (approx. 75 sq m) and an approved blueprint for the construction of a garage. 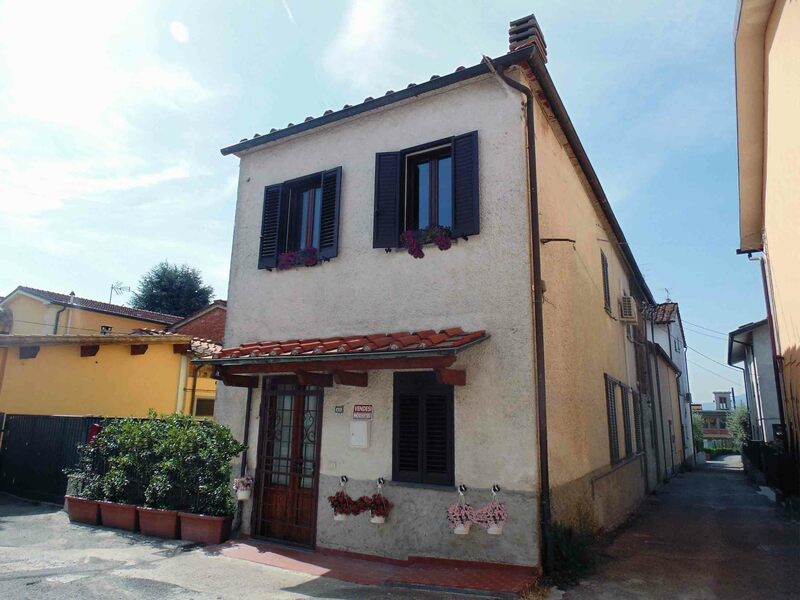 A 3-bedroom fully renovated Town house, Situated 20 minutes from the centre of the medieval Town of Lucca, easy connected by public transport, and walking distance to local services. The townhouse is on 2 floors and free on three sides, including an annex of 40 sq m.
A charming 3-bedroom country house, internally restored in 1982 by maintaining the typical Tuscan features and the original architectural finishes, dating back to the beginning of 1900. The stone and bricks façade only needs to be cleaned to boost the original structure. The property boasts over 3 m. high ceiling in the ground floor lounge, exposed wooden beams and brick arches. 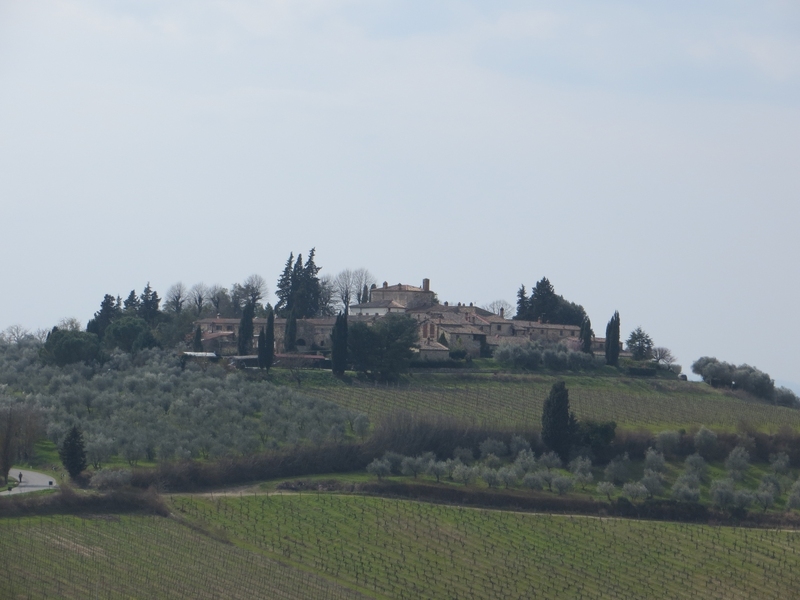 The land measures almost 1 hectare, it is in part arable in part with 70 olive trees and woodland. 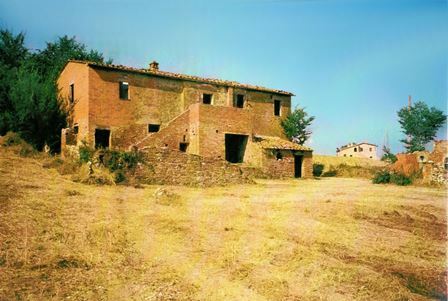 Apartment in rustic farmhouse, near Firenzuola, in Tuscany, Italy. 33 miles (52 km) northeast of Florence. 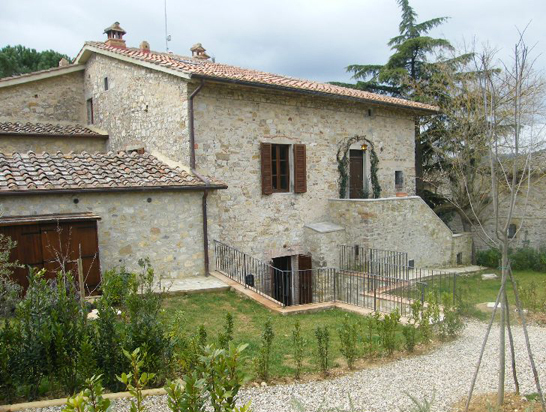 Built in 1787, overlooking the beautiful hills of Tuscany. 166 square meters includes spacious living room, 4 bedrooms, 1 large bathroom, kitchen with fireplace, big terrace, big cellar with 4 taverns. 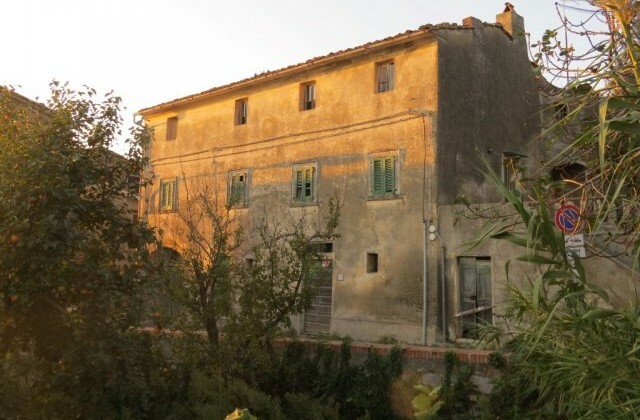 Rustic building in need of total restoration, dating back to the late 1700/early 1800, situated near San Godenzo, and 800 metre from local grocery shop. The property needs a total restoration as part of the roof has collapsed but original materials can be used during the restoration works. On the site there is electricity nearby and an artesian well needs to be made for the water. 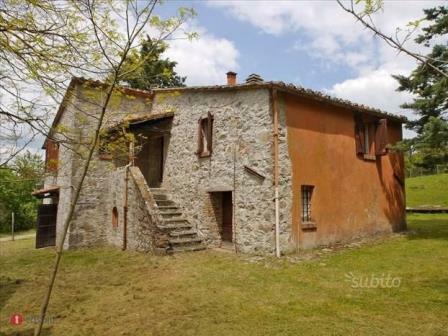 A charming stone built rustic house in need of total restoration, situated in the countryside of Pomarance and Montecerboli, the latter a small village just 5 minutes’ drive away, but with all main services. The property is very private and the nearest house is 500 metres far away. 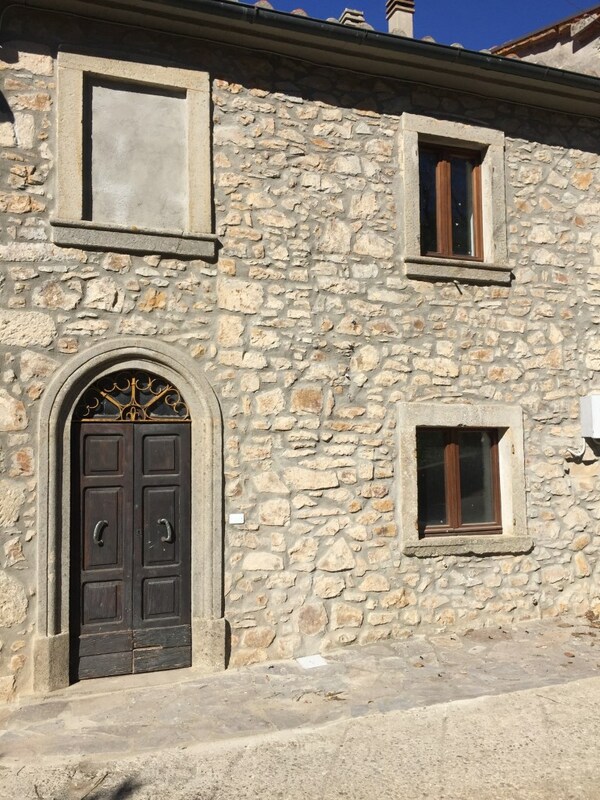 3- bedroom Village house Situated few minutes’ drive away from the charming town of Santa Fiora, a small but lively place lived in all year round, stone built home free on three sides. 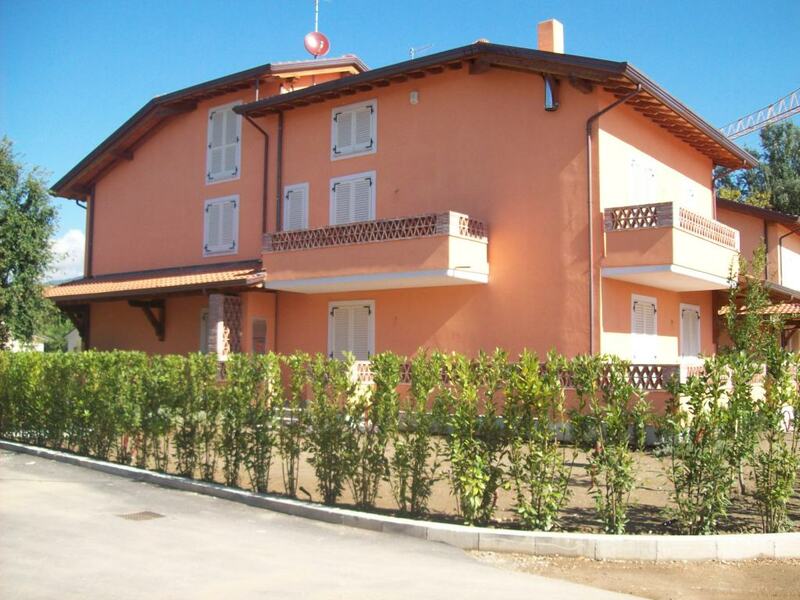 The property has been recently renovated and it is for sale completely furnished. The house is part of a small hamlet with homes used as holiday homes as well as full time residences. 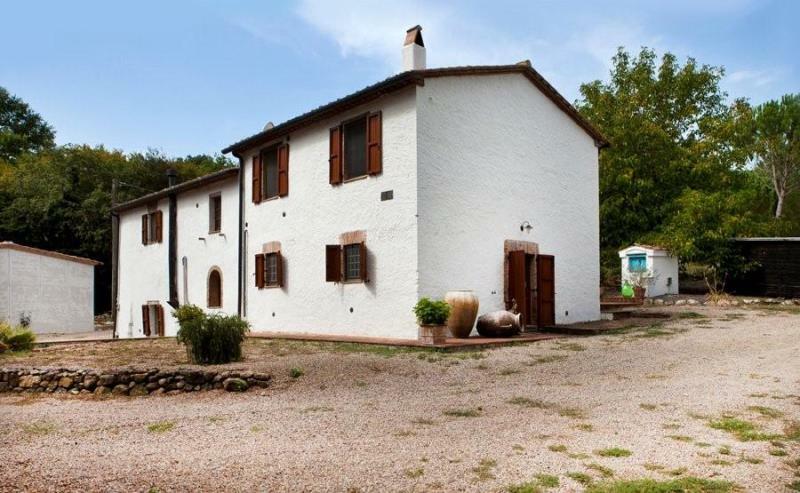 Large farming estate situated in the Maremma region and consisting of large farm house with several annexes, with panoramic views over the hills and valley. The property comprises a 2-storey farm house of 240 sq. m., featuring two self-contained apartments, easily connectable. The property comes with a total of 22 hectares of agricultural land, mainly flat. 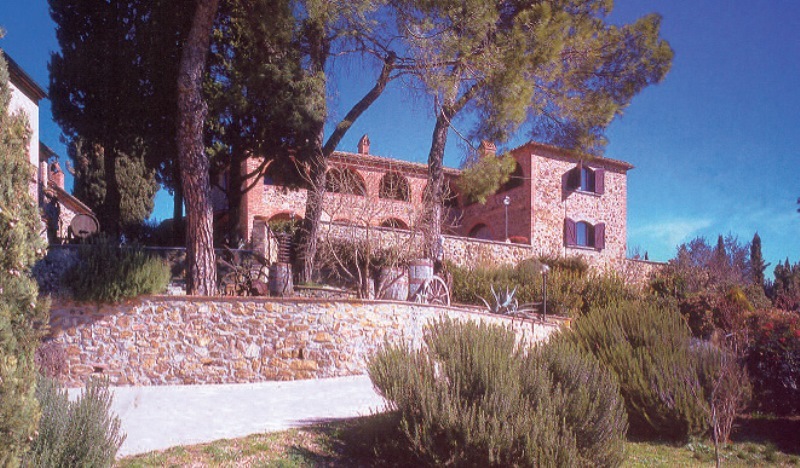 Country house in the hills of Maremma. 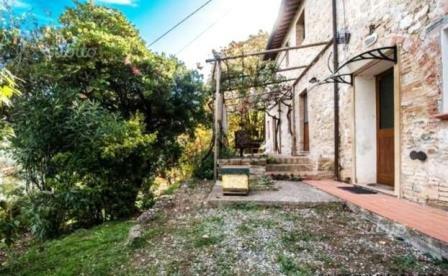 Situated in the hills of Maremma, just 40 minutes’ drive to the long sandy beaches of the southern Tuscany and 4 km/2 miles from the centre of Baccinello where there are local shops and services, a charming stone built house, recently renovated. Free-standing country house restored in 2011, maintaining the old flooring and wooden beams. 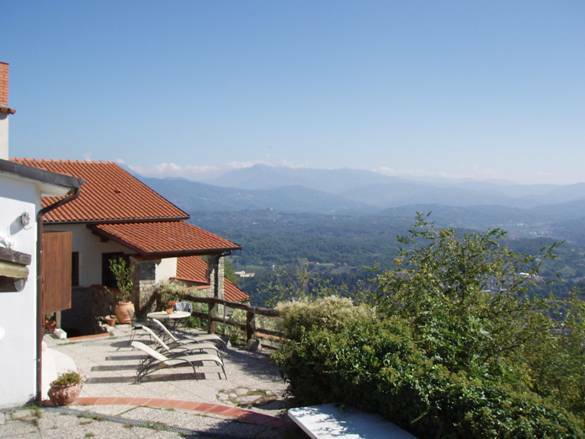 Located in a sunny and private position, not isolated with panoramic views over the hills of Bagni di Lucca. 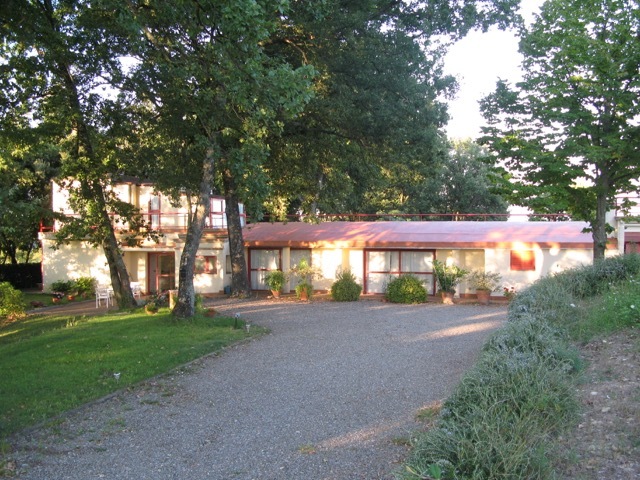 Casabasciana with bar, restaurant and grocery is 2 kilometres far, and Bagni di Lucca is 10 minutes by car. Bagni di Lucca is a town of more than 6000 inhabitants with all services, shops, restaurants bars etc. Lucca is just 30 minutes by car. Pisa airport is 1 hour 10 minutes by car. Charmingly renovated and keeping typical Tuscan style, a 2 storey townhouse within a complex that has 26 units situated in the hamlet of Topina dating back to 11th century. 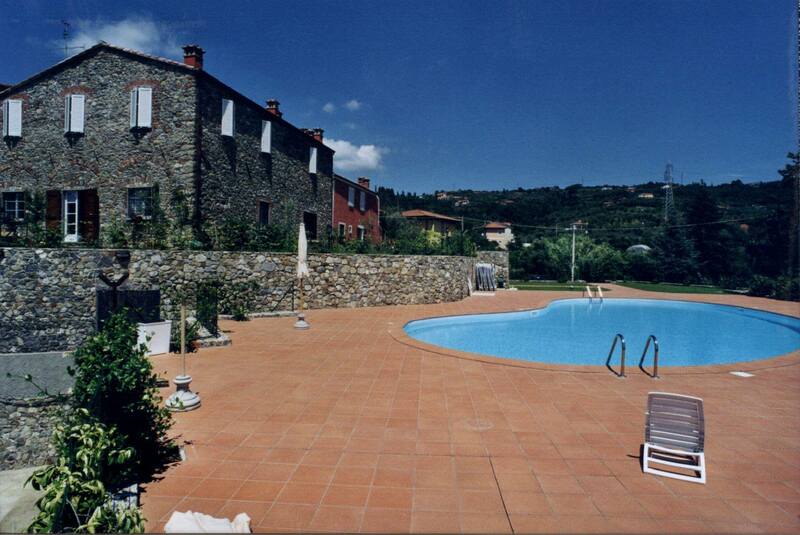 The complex features communal grounds, tennis court, two swimming pools (14m x 7m and a children pool). Recently built farmhouse (2001) in good condition, to be painted. In a private and reserved position with view over the countryside, 5 kms from Capalbio and Capalbio Scalo and just 6 kms from the sea. The building sits on 1750 sq. m. of garden, fully fenced by net and hedge. Possibility to install a pool. 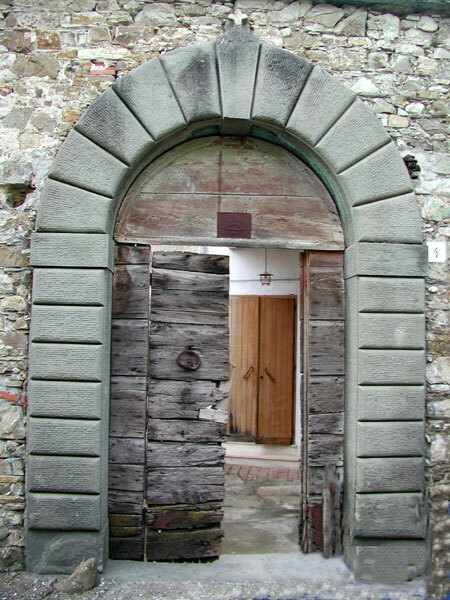 Situated in the heart of Chianti, 1 hr’s drive away from Florence and just 1 km from the village of Neri where there are all basic services, while 20-25 minutes far from Radda in Chianti and Gaiole in Chianti, an ancient monastery dating back to 16th century with project for conversion into 15 apartments. 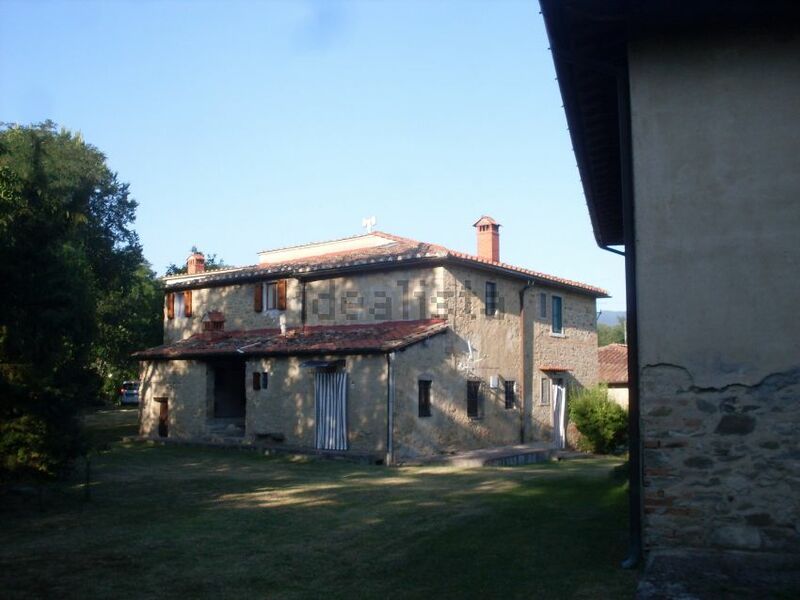 Situated in the hills between Lucca and Montecatini Terme/Pistoia, stone built country house in need of refurbishment but in habitable condition. 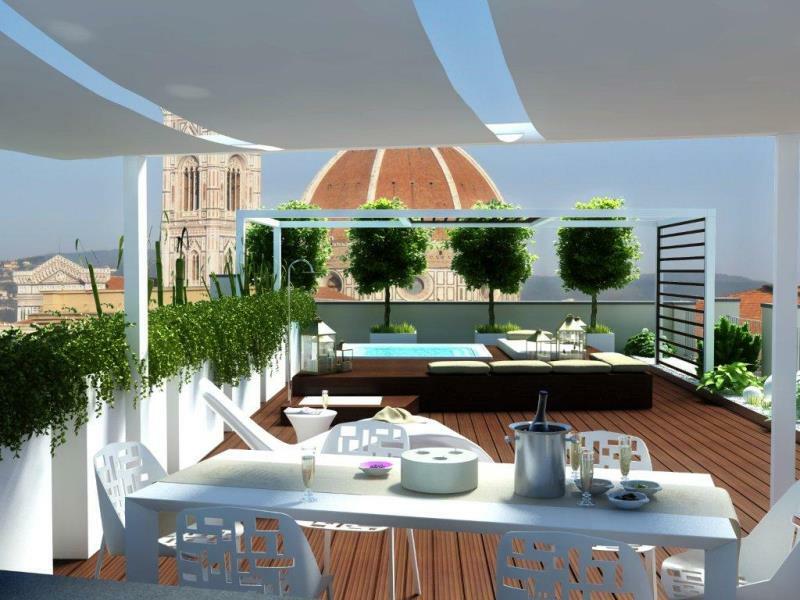 2 Bedroom apartment with beautiful rooftop views located in Florence. 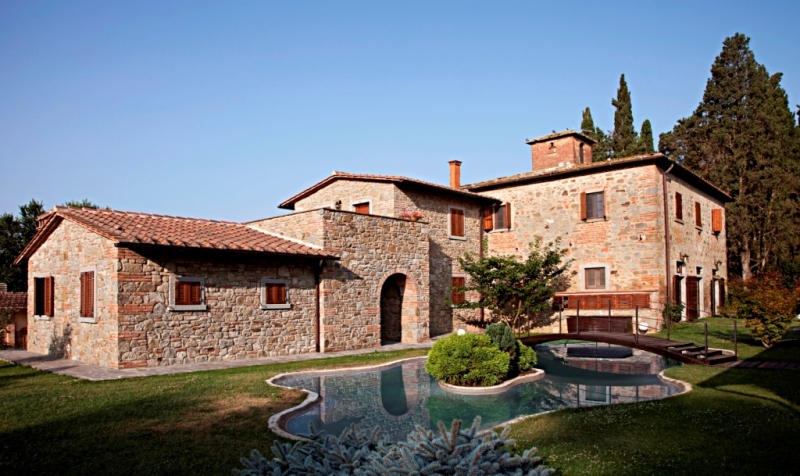 Restored panoramic villa built with stone in Fivizzano, Tuscany. The villa has a stunning view of the hills and mountains. 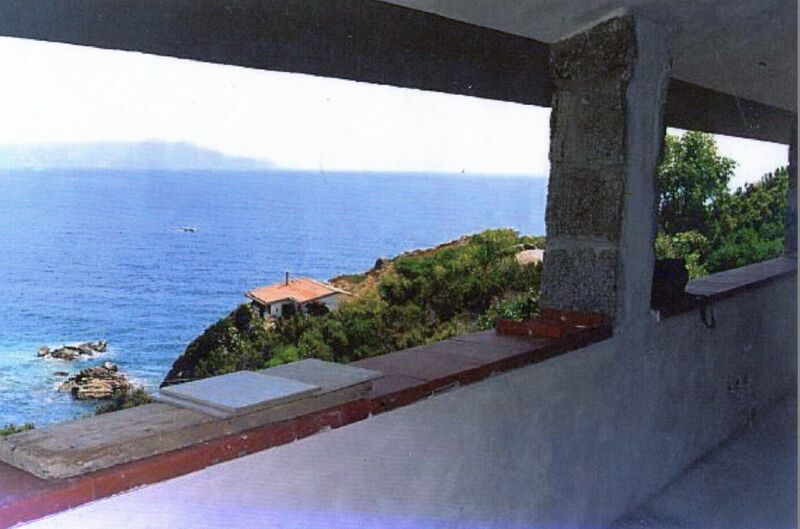 2-bedroom free standing town house situated in the town of Santa Luce, with a panoramic sea view. The property is in need of restoration. Partially renovated 5-bedroom countryhouse, situated in a panoramic position with views over the countryside and up to Volterra. Typical historic farmhouse of the early 800s with vaulted and wooden ceilings. The property is in need of total restoration. Located in a quiet yet non-isolated position with panoramic views of the hills; 2 km from Montagnano and 10 minutes from Monte San Savino. Situated from a 5 minutes’ drive to the centre of the medieval town of Lucca, a large and charming period home, dating back to 1500, with links to the famous Florentine De Medici family. 2 bedroom farmhouse to refurbish is located in Rapolano Terme with breathtaking views of the Crete Senesi, the typical Siena countryside.